Each and every year NSCC Student Life honors and celebrates the work of its student leaders in the College by hosting the Student Appreciation Awards. This award recognizes the campus student organization that has positively influenced the NSCC student experience through the creation of opportunities for personal growth, social networking and professional development. The Student Organization was relevant to the student membership; organized and delivered activities in a professional manner; successfully met the stated goals of the organization; and collaborated with other members of the college community to achieve success. 2. Be engaged in activities that are academic, athletic, social or community service related. 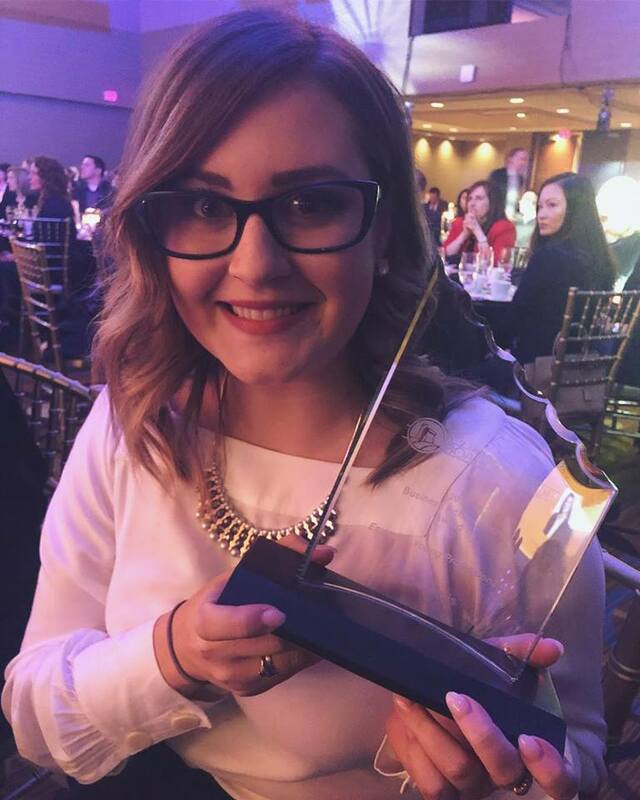 Three student groups were nominated across the College – and NSCC Kingstec Rotaract Club was named the award recipient. Congratulations! Our district will be involved in two Rotary Friendship Exchanges this year and we are now accepting applications for participants. We are also in the discussion stage with two others for 2020. 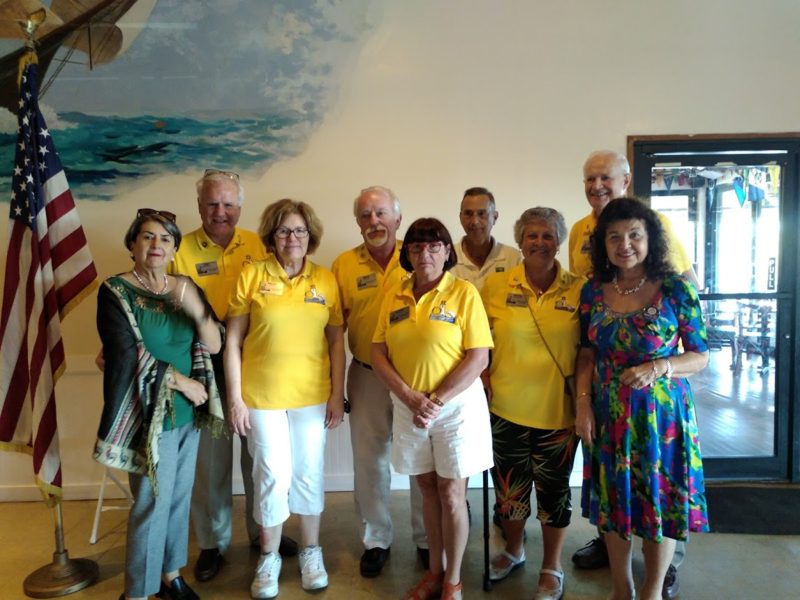 Friendship Exchange is an international exchange program for Rotary members and friends that allows participants to take turns hosting one another in their homes and clubs. https://www.rotary.org/en/our-programs/friendship-exchange . Lasting friendships and international understanding are only some of the benefits of an exchange. Many of our members continue to correspond and at times exchange visits with friends in New Zealand, Brazil, Sweden, Finland, Estonia, Australia, Vancouver Island and several areas in the USA where we have exchanged before. Are you fed up with trying to plan an international project? Too many ideas? Not enough ideas? Too complicated? Where do we start? Relax! Help is at hand. Your District International Service Chair (DISC) is just a phone call or e-mail message away. Contact me at elvaheyge@gmail.com or 902-692-1308 (mobile). Still time to Register for District Conference! If you haven't registered for the District Conference in Pictou County May 10 and 11, there's still time! We have added some videos to the District youtube channel to entice you to attend. Check them out! And don't forget you need to register separately for the Professional Development session on Friday morning; the KAIROS Blanket Exercise is not to be missed! Open to everyone – but you need to register. For incoming Presidents and Secretaries, there is no additional fee (but you still have to register!). For other conference participants, partners and guests, the fee is $25. Registration for the conference may be found here. See you in Pictou County next month! “My fellow delegates, I would like to remind you that the world of 1989 is very different to the world of 1905. I sincerely believe that Rotary has to adapt itself to a changing world,” said Frank J. Devlyn, who would go on to become RI president in 2000-01. The vote followed the decades-long efforts of men and women from all over the Rotary world to allow the admission of women into Rotary clubs, and several close votes at previous Council meetings. The response to the decision was overwhelming: By June 1990, the number of female Rotarians had skyrocketed to over 20,000. By July 2016, the number of women worldwide had surpassed 250,000. Training for Leaders of Clubs! March has been busy for the District Team! TLC training days were held in Corner Brook, St Pierre et Miquelon, Sydney and Halifax last month. Response overall has been very positive on the new format, especially the hands on computer training in Clubrunner and MyRotary. Upcoming TLC dates are April 13 in Truro, April 27 in Charlottetown, and May 25 in Grand Falls. Mark your calendars now and plan to participate in the all new Training for Leaders of Clubs this spring; it will be time well spent! Imagine somewhere in the world, perhaps not far from where you are now, a Rotary Peace Fellow sits, listening to a lecture or learning about different paths to community development. And as they do, inspiration arrives. That idea – their solution to making the world a more peaceful, prosperous, and stable place – will move from thought to action one day. And when it does, when that fellow takes the skills and knowledge they learned out into the world, it might just change the world. Each year, The Rotary Foundation awards up to 100 fully-funded fellowships for upcoming social change leaders who want to study peace and development at one of our peace centers. Right now, we have 98 fellows studying in the U.S., Japan, the U.K., Australia, Sweden, and Thailand. The Demetreous Garden is not only a place of beauty but also one that gives back to the community! Members of the Rotary Club of Dartmouth, with the assistance of a local architect created a unique Community Garden in Dartmouth. Readily accessible by the surrounding families, every bed in the garden is utilized over the growing season. Each year they also hold a “Swing for the Kids” golf tournament that enables the club to improve the lives of youngsters in the community. The Dartmouth East Rotary Club is all about community improvement on a local basis while recognizing that they are part of the larger Halifax Regional Municipality. Members of the club meet to clean up Main Street in Dartmouth as well as support the Dartmouth North Community Food Centre. In concert with the other clubs in HRM, they financially support Hospice Halifax. 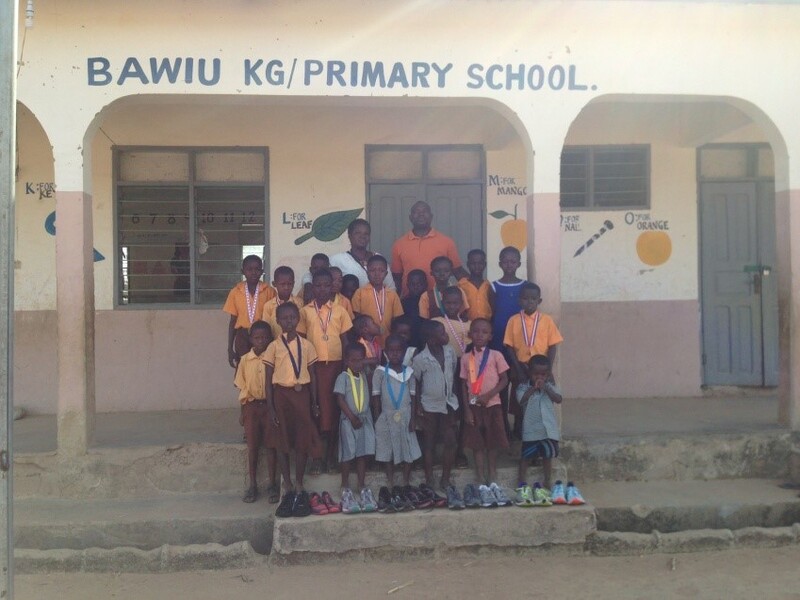 They are able to support these projects through their Dartmouth Rotary 4 Change fundraiser. Have you registered for the Hamburg convention? We’re just a few months away from the Rotary International Convention in Hamburg, Germany, 1-5 June. To help you plan your convention experience, we’ve included important program updates in this issue of Convention News. Additional tickets are now available for three popular lunch events. You can purchase tickets through the online registration system at www.riconvention.org. • President’s Recognition Luncheon, 3 June — Celebrate a successful and productive 2018-19 with RI President Barry Rassin. • President-elect’s Leadership Luncheon, 4 June — Join RI President-elect Mark Daniel Maloney as we look to the coming Rotary year and the 2020 convention in Honolulu, Hawaii, USA. • Rotary Club Celebration Luncheon, 5 June — Join us in celebrating our dynamic Rotary clubs. The keynote speech will be given by author, trend forecaster, and Rotarian Michael McQueen. For interest of District 7820, members of the Rotary Clubs of Halifax and Calgary helped set up these 4 clubs in Australia and New Zealand 98 years ago. 1. The $30 million youth vaccination program across 9 Pacific nations: “Give Every Child A Future” – this has been launched and initiated by 4 Centenary Clubs, RC Melbourne, Wellington, Auckland and Sydney. Our partners are the Asia Development Bank and UNICEF. Soon participation will be extended to all Rotarians. This will make a long-lasting difference in the Pacific Region. Introducing "My Big Fab Rotary Dinner". Rotarians are asked to invite non Rotarians (minimum 4, maximum 8) over for dinner on April 3, 2019 (with alternate date of April 20, 2019). 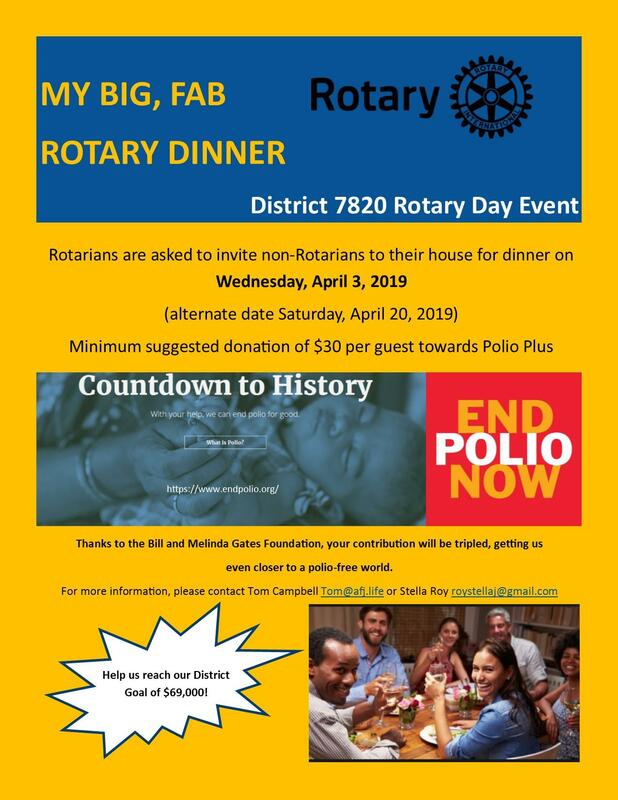 Each non Rotarian guest will be asked to donate at least $30 (payable to the club to benefit the Polio Plus Campaign) for a fantastic candlelight wine and dine event hosted by the Rotarian and Partner. Photos during dinner to be posted online. A great opportunity for public image, to introduce guests to Rotary, Foundation, and Polio...and have a lot of fun. With 1500 members x 6 guests each paying $30, potential for $270,000 to End Polio. If matched by the Bill and Melinda Gates Foundation at 2-1, total for night could be $810,000...a great dinner event for a fantastic "Rotary Day". 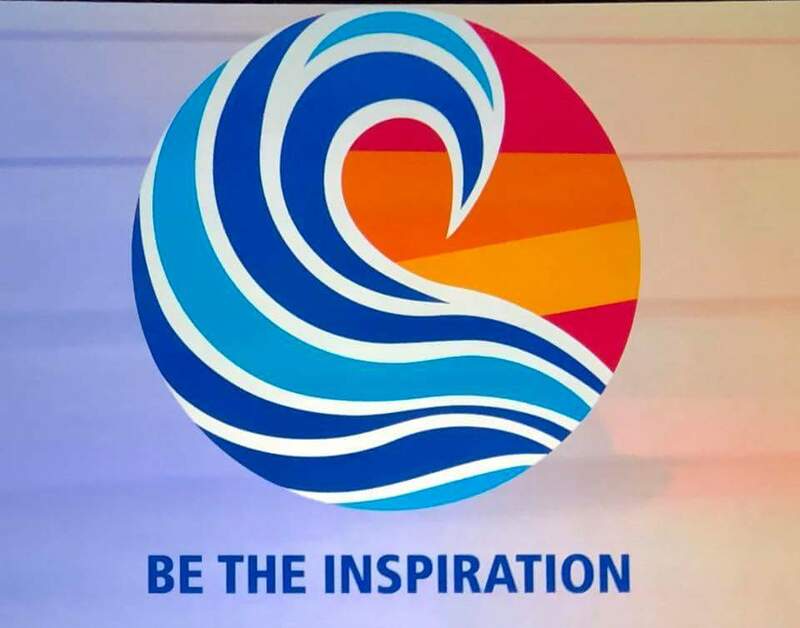 District Conference May 10-11 in Pictou Co.
“Be the Inspiration” is the theme of the 2019 district conference, and it could not be more appropriate! This year we have secured a number of speakers and guests who are inspiring leaders in their own lives, and the work they do to help others. We are delighted to have Mr. Greg Yank and his wife Catherine as our Representatives from Rotary International. Mr. Yank is a member of the RI Board of Directors and a Past District Governor of District 6510. He has a long list of accomplishments in Rotary and in his private life that demonstrate his commitment to Service Above Self. He is a renowned speaker who inspires fellow Rotarians all over the world. You will definitely want to hear our Youth Speaker, Miss Nina Davy, and her amazing story of how, at thirteen, she lost her best friend to cancer. Instead of dwelling on her loss, Nina chose to remember her friend by forming “Jena's Girls” an organization of young ladies that has raised hundreds of thousands of dollars to help fight cancer and support those coping with serious health issues. She is the 2018 Nova Scotia volunteer of the year and may be the youngest Paul Harris Fellow! We have received a number of questions regarding the youth program. You may find the schedule of events here. Please note that the youth registration has been capped at 30 people, so register now to avoid disappointment. You won’t want to miss this powerful experience! The KAIROS Blanket Exercise. Experience the history you did not learn in school! The Blanket Exercise is based on participatory popular education methodology and the goal is to build understanding about our shared history as Indigenous and non-Indigenous peoples in Canada by walking through pre-contact, treaty-making, colonization and resistance. Everyone is actively involved as they step onto blankets that represent the land, and into the role of First Nations, Inuit and later Métis peoples. By engaging on an emotional and intellectual level, the Blanket Exercise effectively educates and increases empathy. Training for Leaders of Clubs (TLC)! 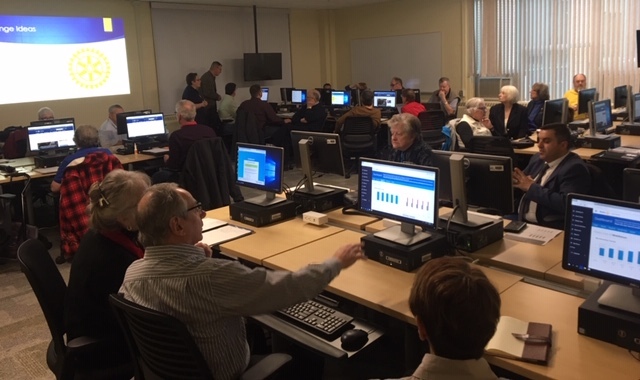 On Saturday, February 16, 35 enthusiastic participants at the Southwest NS Training for Leaders of Clubs, or TLC, learned about technology, public image resources, the Foundation and more; they met some new people, and worked hard on their club action plans. Feedback on the new format was very positive, with Michael Fairn, Secretary, RC of Middleton saying: "No question the best TLC I've attended... on so many levels! ... I heard only good comments and praise from each of the Middleton attendees yesterday." Upcoming TLC dates are as follows: March 9 - Corner Brook, March 16 - St Pierre et Miquelon, March 23 – Sydney, March 30 – Halifax, April 13 – Truro, April 27 – PEI. Mark your calendars now and plan to participate in an all new Training for Leaders of Clubs this spring; it will be time well spent! An enthusiastic group of Harbourside Rotarians braved freezing rain to go on a field trip meeting to the Dalhousie School of Engineering. We heard from Dr. Graham Gagnon who holds the NSERC/Halifax Water Industrial Research Chair in Water Quality and Treatment. His team works with Halifax Water and Cape Breton Water and many others - and they are researching a disruptive UV-LED technology. 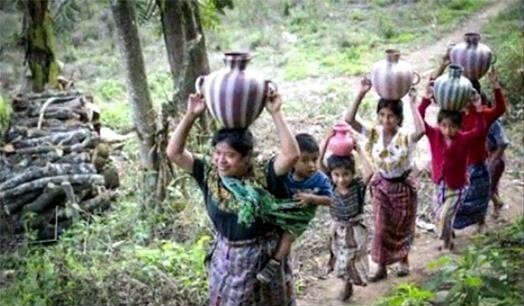 Did you know that water issues kill more people than violence? 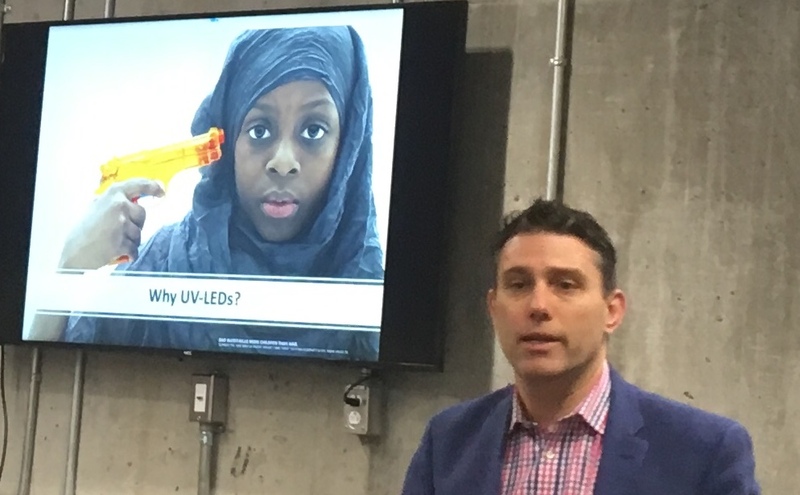 The slide from UNICEF is a powerful image. We are exploring a collaborative project with the Dal team, together with a Rotarian in India, who is a Dal Alumnus, to pilot the water purification devices in some schools in India - it could have huge impact! Masters student, Carolina, tested the devices in Nunavut - and she gave us a demo of how they work when we toured the labs. Thank you to Godfred for starting the conversation about a possible grant opportunity and for arranging the wonderful field trip! We’re excited you’re joining us at the Rotary International Convention in Hamburg, Germany, 1-5 June. This issue of Convention News contains important program updates to help you plan your convention experience. We have our first group of speakers! 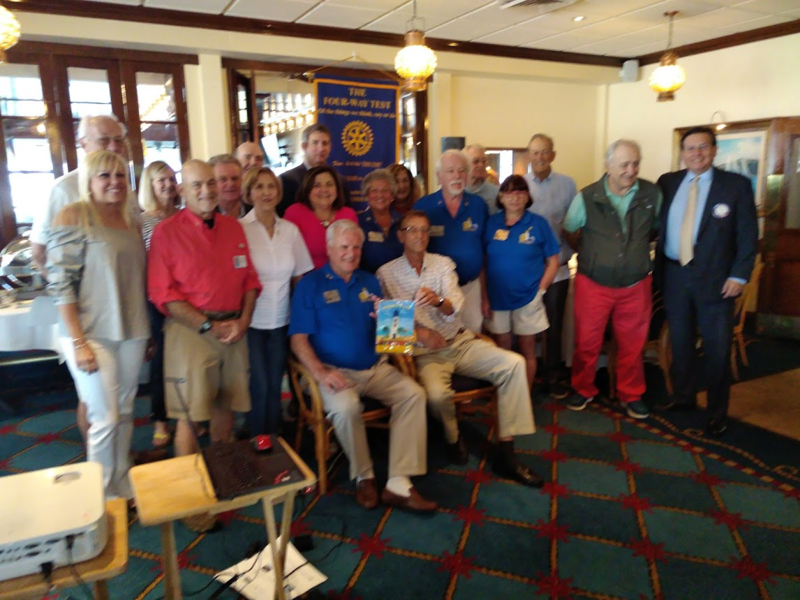 The Rotary Club of Amherst is instrumental in sending people around the world through their “Trip of the Month” fundraiser. This club has a long and committed association with Camp Tidnish and continues to support the camp through their lobster dinner fundraiser. Club members have truly made a difference in the lives of those folks who get to spend time during the summer at the camp. Look for an aerial shot of Riverside Park to see why the Rotary Club of Middleton played a unique role in profiling their town as the “Heart of the Valley”. Through the efforts of the club members, a beautiful park has been created with trails, a dock and most significantly, the planting of maples to form a huge heart when seen from above. The profits from their very successful Rotary Goldmine enables the club to support many local charities. The spring Rotary Leadership Institute (RLI) session is being held in Dieppe NB on Saturday April 6, 2019 at the CCNB Campus, 505 Rue du College located off Champlain St in Dieppe, NB. The sign in desk opens at 8:15 am and the sessions will run from 9:00 am to about 4:00 pm. Having Rotarians attend an RLI session has proven to be a major benefit for both the member and their clubs. The basic RLI program consists of series of three one day Parts. The material in each part is organized to gradually increase the participants' Rotary knowledge and leadership skill and are taken sequentially over a period of time. An overview of the RLI program and the three parts can be found on the RLI page of the Website. 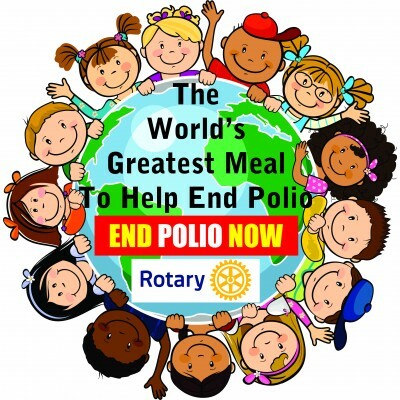 Help us eradicate Polio while having a meal with your friends! Join people around the world for the week commencing Saturday, February 23, to cook, eat, and socialize with friends. Raise money (donations per meal, pass the hat, etc.) to help Rotary end polio. Check out wgmeal.com for ideas, to register, to donate, and report back. Triple your donation by not doing anything - The Bill and Melinda Gates Foundation will give $2 for every $1 raised. 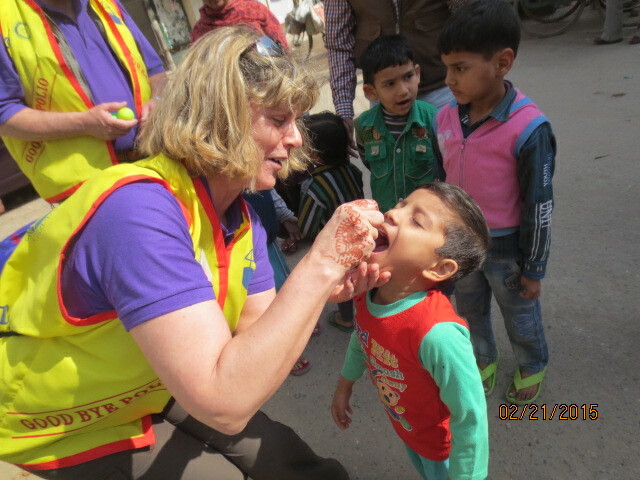 Contact Tom Campbell, your Polio District Chair, at tom@afj.life for more information. District Conference Registration Now Open! Registration is now open for the 2019 District Conference in beautiful Pictou County! In response to feedback from members, we have shortened the length of the entire conference to two days: Friday, May 10 and Saturday, May 11! Register Now at https://rotary7820.com/page/district-conference . We will get an early start on Friday morning where we encourage all of you to learn more about your roles and responsibilities as Rotarians, as well as an opportunity to hone your personal leadership skills. We are excited to have the involvement of youth from our various programs which include Interact, Rotaract and Youth Exchange, as an active part of our program. 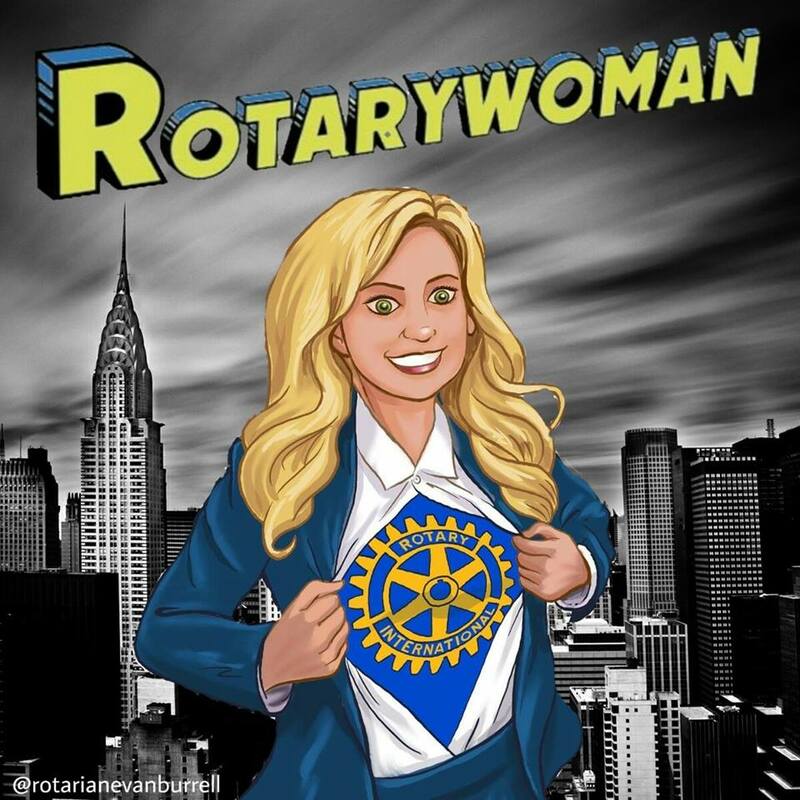 Come and see what the future face of Rotary looks like! Each year, Rotary selects up to 100 professionals from around the world to receive fellowships to study at one of our peace centers. Through academic training, practice, and global networking opportunities, the Rotary Peace Fellowship develops leaders who become catalysts for peace and conflict prevention and resolution. These fellowships cover tuition and fees, room and board, round-trip transportation, and all internship and field-study expenses. 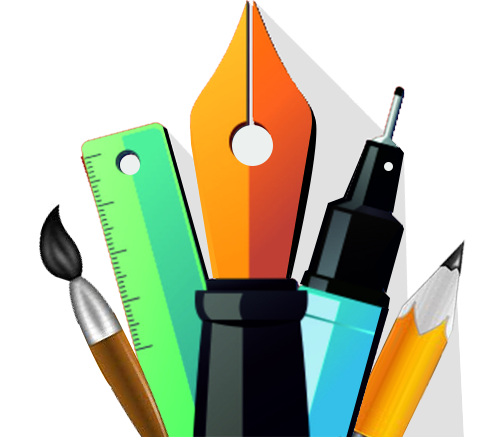 We have the opportunity for two or three $1,000 to $3,000 district grant applications for THIS YEAR. It could be a small project that has to be finished by MAY 31, 2019 (this year) and begun no earlier than July 31, 2018. The club must match the money that they apply for. Any club that is qualified for 2018-2019 may apply, and Doug Hill corgihill.d@eastlink.ca will help with the paper work and application if you need it. Don’t delay! Past District Governor David Muise, who passed away in late 2017, was a Rotarian for over 40 years. 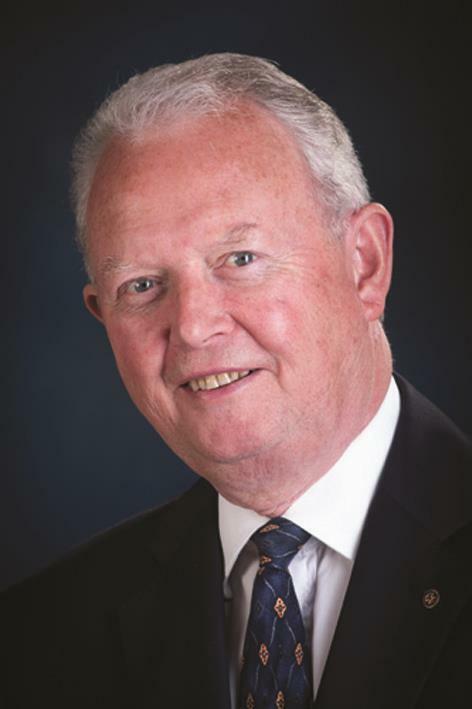 A lawyer, former member of the provincial legislature and mayor of the Cape Breton Regional Municipality (CBRM), his life was a true example of service above self. His fellow Rotarians in the CBRM are working to create a lasting legacy in his memory by partnering with the community to provide an important piece of recreational infrastructure in Dave’s home town. 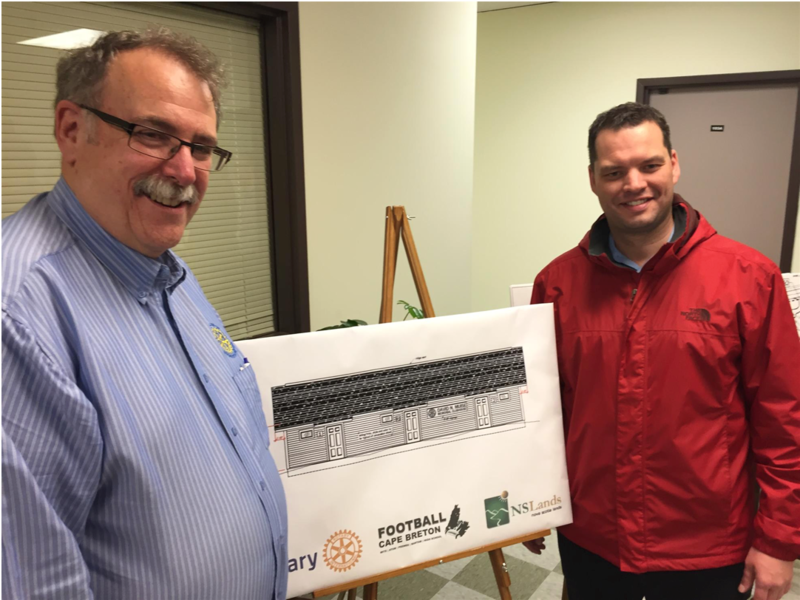 The David N. Muise Rotary Clubhouse is currently under construction at Open Hearth Park in Sydney. The building will provide change areas and washrooms for teams using the adjacent football field. The project is being led by volunteers from Football Cape Breton and managed by Nova Scotia Lands, the provincial Crown corporation that owns the Park. The total cost is $100,000. 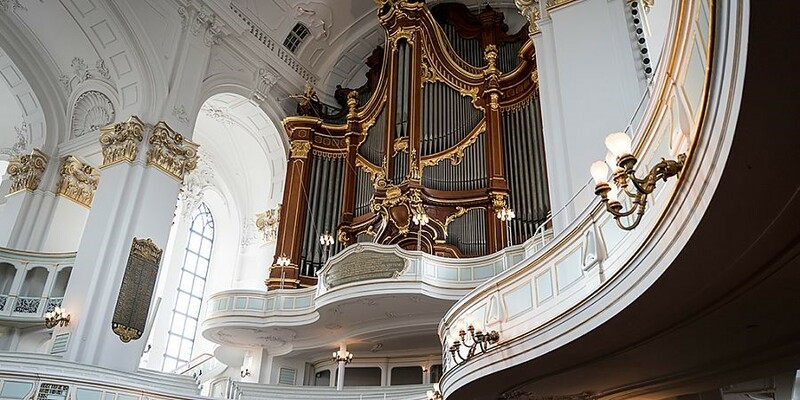 Hamburg 2019 Convention - Early Bird Deadline Dec 15th! 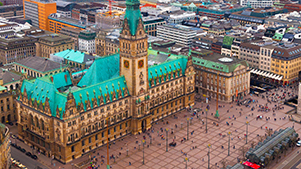 Rotarians from around the world will gather in Hamburg, Germany for the Rotary International Convention, June 1st to 5th, 2019. Will you be there too? If you plan to attend, take advantage of the early booking price and register now for just $395. Note: This price ends on Dec. 15th, so hurry to www.riconvention.org to sign up. The project had its origins in a discussion at the 2017 District 7820 Conference in Wolfville NS. At a breakout discussion on youth, chaired by District Youth Chair Michael Craig, it was recognized that the vast majority of current Rotary programs in support of youth were directed at high-performers. Out of this discussion was born the idea of developing a project that would provide developmental opportunities for youth drawn from economically challenged communities, or other demanding circumstances. 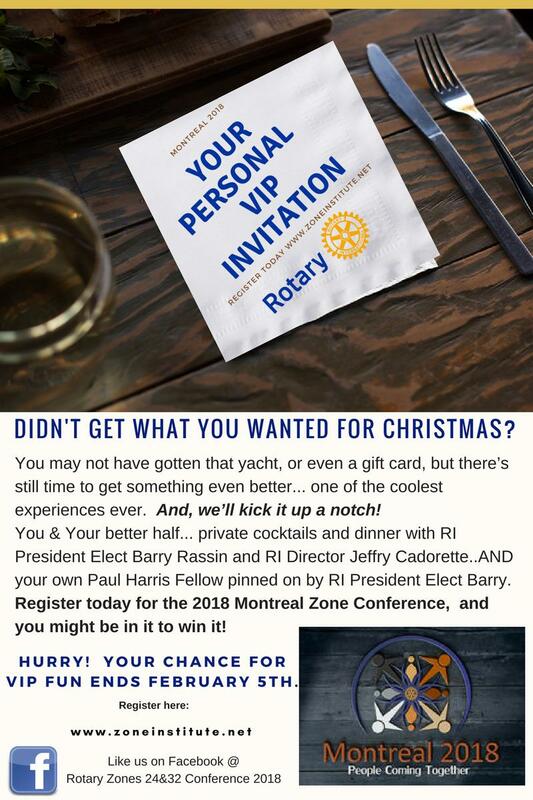 What do You get out of Rotary? Many of us joined Rotary to meet new people, or for a number of other reasons. But can we as individuals convey all that Rotary offers, to prospective new members? In the latest of the membership video series, PDG Larry Furbish enlists the help of Zone 24/32 Director Jeffry Cadorette to outline the many opportunities and benefits of being a Rotary member. Need some inspiration? Watch the video now! Clubs in the Christmas Spirit! Santa tends to make frequent pre-Christmas appearances south of his Arctic home, yet is rarely seen before the big day in northern regions! 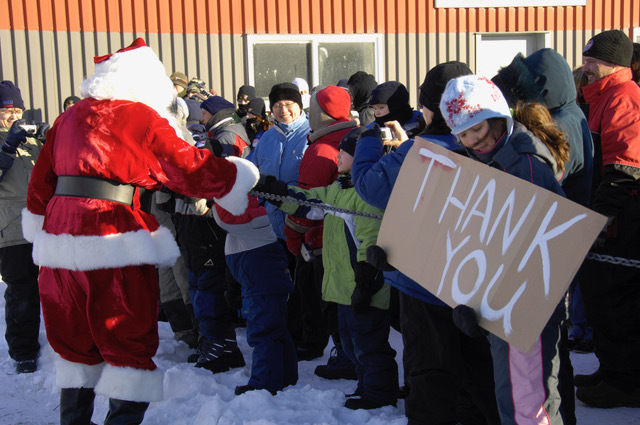 Due to this unfortunate irony, children living in the remote communities along the Labrador Coast don’t have a chance to pass on their Christmas list or have a chat with the guy in person. So started a tradition some 58 years ago by personnel of the Royal Air Force and the Royal Canadian Air Force stationed in Goose Bay. They would collect gifts for the children living on the coast, pile it all aboard a DeHaviland Single Otter on skis and head off to the coast. When ice conditions permitted, Santa would land on the harbour and hold audience and dispense gifts. When conditions were poor, gifts were often dropped by parachute! The island of St. Pierre is a much cleaner place after members of the Rotary Club of St. Pierre & Miquelon picked up more than 550 kgs. of garbage along the roads of that beautiful place! 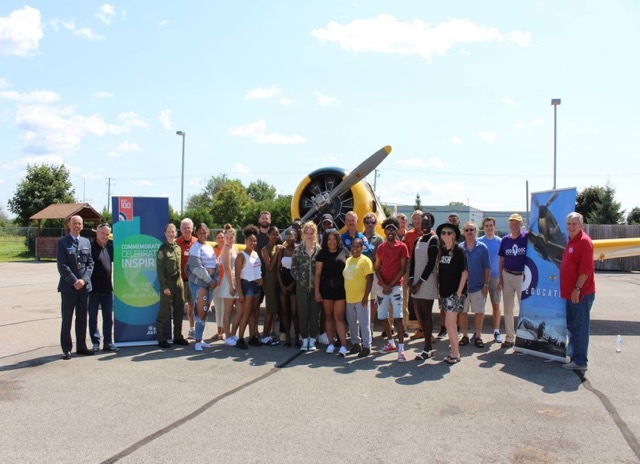 This club knows the value of partnerships and engages frequently with the members of other service clubs to realize their goals for community involvement. The membership of the Rotary Club of Sydney continues to grow with the recent induction of 4 new members! Congratulations! It was wonderful to learn that the club sponsored Lyndsey Prosper, from the Eskasoni First Nation, to participate in the Adventures in Citizenship trip to Ottawa. This request was sent to me by Father Louis Atwine of the Rotary Club of Bushenyi in Uganda. Bushenyi was one of the Districts which participated in the Health Child Uganda project out of neighbouring Mbarara University of Science and Technology. I have attended meetings and spoken at the Rotary Club of Bushenyi as well as helping their health care system to get a rainwater collection system and a generator through Rotary. While there are some Rotary Clubs in District 7820 participating in the planned global grant for Kangaroo Mother Care in Mbarara, during my visit in July, Father Atwine indicated that if there could be assistance in obtaining equipment for Bushenyi, that would be greatly appreciated. Have you been inspired to read about the activities of our clubs here in our District? Has it given you any ideas about what you and your club may wish to initiate? This month we are featuring the work of 3 clubs in Newfoundland and two in Northern Nova Scotia. The Rotarians in the Rotary Club of Stephenville have partnered with the People of the Dawn Friendship Centre. To see the gardens in the backyard of their facility where medicinal plants, important to our Indigenous peoples are being cultivated was an enlightening experience. Ho Ho Holidays Are Coming! 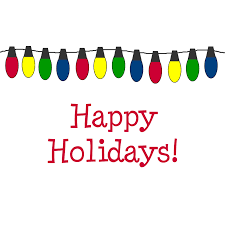 We’re looking for stories for our December newsletter, to highlight some of the fun and meaningful ways in which your club celebrates the Holiday season. It can be an event held in November or it can be promotion of an upcoming event in December that people shouldn’t miss! Remember to send interesting photos (in jpeg or png format please) with your prepared article (as a Word attachment) to Editor Alana – alana.hirtle@cbdc.ca or DG Rob - rob.g.christie@gmail.com. Depending on the response, we may not be able to feature all articles in this issue, but will do our best to incorporate as many as possible. Ho Ho Ho! District Grants: D7820 received $21,333 USD on Aug 1, 2018 because three years ago the members of our district gave $90,00 USD. We receive 50% of that back for our District to use for grants (D7820 uses the maximum we can for District Grants which is half of the 50%). 12 clubs applied and all received up to $2,400 CAD and matched it with club funds. They are working in Nova Scotia (Cumberland county, Middleton, New Minas, Truro, Yarmouth, Sydney, Bridgewater), PEI (Montague), NL (St John’s), and Internationally (Zimbabwe, Ghana, Uganda). These projects include community gardens, enhancing parks, dental help for youth, musical instruments, photography for the mentally challenged, micro research projects, and ceramic cooking stoves. 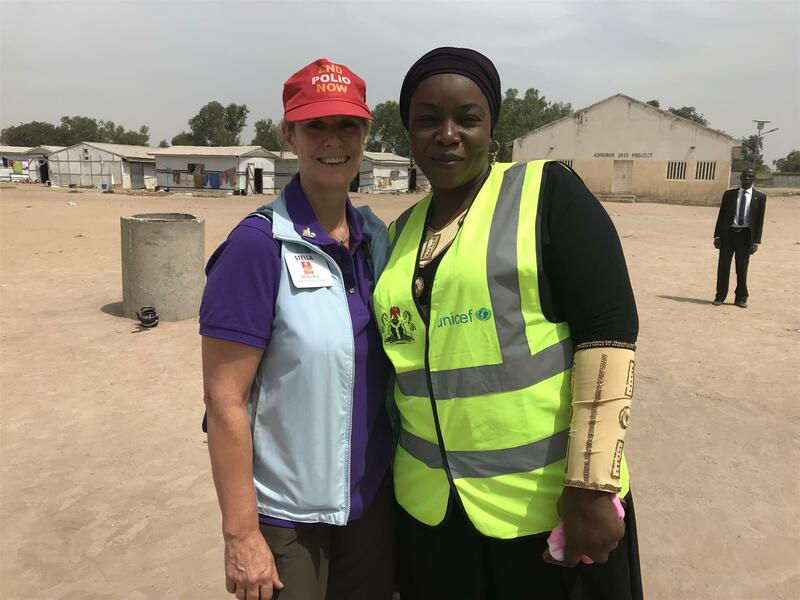 They are “creating lasting change in our local communities, global communities and in themselves” as Rotarians lead and participate in the projects. November 11, 2018 will mark a sombre anniversary; 100 years since the end of World War I, the “War to end all Wars”. As I read through the related articles in the November issue of The Rotarian, I was struck by the magnitude of Rotarians’ influence during that war and in the years since, especially in relation to the Rotary Representative Network and its work with the United Nations and other international organizations. I was aware that Rotary Day at the UN takes place on November 10 each year, but I wanted to have a better understanding of why that is, so I did some further digging. 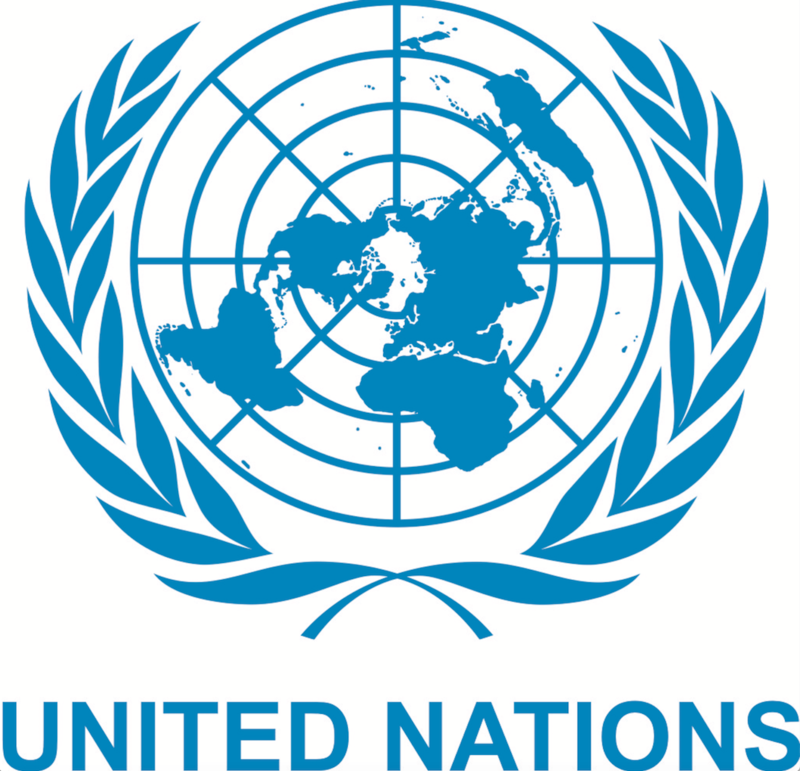 With a nod to the Rotary Club of New York’s excellent research, I am pleased to provide our members with some background information as to how the UN came to be, and the role that Rotary played in it. Alex Twells, a member of the Rotary Club of St. John’s East (shown here at the clean up of Cobbs Pond Rotary Park in Gander in July). Alex is now the choice to become District Governor for 2021-22. Congratulations, Alex! Originally from England, Alex moved to St. John's with his wife, Laurie and three children, in 2000. Alex is an independent business consultant specializing in strategy, leadership and governance.He joined the Rotary club of St John's East in 2005 and has served in various club leadership roles included two terms as president in 2008 and 2009. As a co-founder of the Rotary Read A Long Program Alex became involved with the set up of a literacy initiative for elementary schools which started in St. John's and spread across the province bringing thousands of dollars of new books to school libraries and hundreds of Rotarian and non Rotarian readers into school classrooms. Since July Alex has been serving as Area Governor for Central Newfoundland and has also been assisting District Governor Elect Louisa Horne with the development of the District 7820 strategy. Outside of work and Rotary Alex is a keen tennis player, cook and explorer. The District Nominating Committee was chaired by IPDG Don Sword and made its choice following a merit based search including a formal interview of candidates as per District and Rotary International rules. The Committee published formal invitations to District Clubs and Rotary members to suggest names for this position. Under Rotary International Bylaw Article 14.020.8, clubs meeting the criteria stated in that Article may challenge this nomination not more than 14 days after publication of the notification to Club Presidents. The remaining fall session of the Rotary Leadership Institute is still available for you to check out and register for. It will be held in Truro on October 27th at the NSCC Truro campus. We have had to cancel the September St. John's session entirely due to low registration and have also withdrawn the two special half day graduate courses we had planned for the Truro session for the same reason. It takes forward planning to put on any of these sessions, so rotarians need to register early. Deadline for Truro is Oct 20th. Please register here. Invite 6-8 people to dinner at your home, and charge $25-$30 each. Prepare the meal yourself, and give the money raised to Polio. Is Your Club Ready for Prime Time? There was a buzz about Membership at the Zones 24/32 2018 Conference in Montreal. Delegates know that our data shows that most Districts in North America have seen a decline in numbers. They also know we have imbalances of age, gender, and ethnicity. Themes of attracting and retaining members cropped up at many sessions. Review our traditions. Are they old-fashioned and exclusive? Examples included grace and anthems. Up-date our lingo. An example is that is Sergeant-at-Arms has military overtones, might host or hospitality be fresher? Is our humor offensive or disrespectful? Your district is preparing a new strategic plan for the next three years and your input is needed. When your Board meets on October 12-13, we are excited that we will have the benefit of a summary of views from across the district to inform our discussions. If you have not already completed it, please do so at your earliest convenience. The survey has questions about the key areas of responsibility of the district - leadership development, youth programs, foundation, public image, membership and club health and governance. There are multiple choice questions and every topic has an open ended space for you to give suggestions and feedback on any aspect of the district's work. Your responses are confidential. If you have any questions, please don't hesitate to contact me. Click on this link https://www.questionpro.com/t/AK0X6ZcvS3, or cut and paste it into your browser if it does not take you directly to the survey. We expect that the survey will take about 7-8 minutes. We appreciate your help in this important task. It is only with your input that your district can effectively support your club in achieving your goals. We would appreciate receipt of your response by October 5th. Entrepreneurs in rural communities can borrow money to buy livestock or plant crops, or get training in sustainable farming. Rotary helps Tanzanians with albinism overcome stigma and superstition to find safety and a livelihood. Closer to home, at the Zone Conference in Montreal Sept 20-22, former Prime Minister Paul Martin spoke of his foundation, the Martin Family Initiative, and their education based programs for First Nation, Inuit, and Métis communities. Who is involved? The MicroReseach team at Dalhousie University/IWK (www.microresearch.ca) has established an excellent relationship with the Rotary Club of Mbarara in Uganda and the Mbarara University of Science and Technology (MUST). Charles Kazooba who is the Deputy Vice Chancellor (Finance and Administration) at MUST, a Dal alumnus, is the local Rotarian in Mbarara who is spear heading the MicroResearch relationship there. District 7820 People of Action! Rotarians in our District are “People of Action”, doing fantastic projects in their communities and across the world. 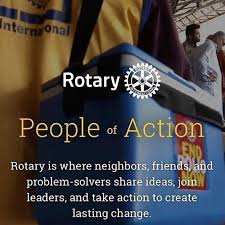 We thought it a great idea to share, over the remaining 10 months of this Rotary year, projects that have been undertaken by every club in our District; we believe it is important to honour and acknowledge the work of our Rotarians. Each month we will feature four or five clubs and what they are doing as “People of Action”. September is Literacy and Basic Education Month. 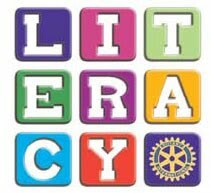 Rotary.org reports that more than 775 million people worldwide over the age of 15 are illiterate. That’s 17% of the world’s adult population. Rotary’s goal is “to strengthen the capacity of communities to support basic education and literacy, reduce gender disparity in education, and increase adult literacy.” Many programs are in place to support this goal, including training teachers and other professionals who work with vulnerable populations, formal student mentoring programs, and community based literacy programs. Formerly known as the Zone Institute, we have renamed it the Zone Conference. So, what’s the same, and what’s different. The Institute was originally designed to motivate, inspire, and educate past, current and incoming district governors. That has not changed. We want and need as many past governors in attendance because we know there is a critical mass of that talent and leadership that can make an event magical. The pledge of the entire planning team is that the event will be worthy of your time and resources. WANTED! Suggestions for D7820 Governor for 2021-22! Clubs are invited to suggest eligible Rotarians for the position of District Governor Nominee Designate, “DGND” - the Rotarian who will advance through the District Governor chain of offices to become District Governor for 2021-22. The Nominee shall assume the title of Governor-Nominee-Designate upon selection and shall assume the title of District Governor-Nominee (DGN) on July 1, 2019. The selection shall be made by Nomination Committee procedure following RI By-Laws and our District Manual of Policies and Procedures, Section 8*. The suggested candidate must meet the qualifications specified in Rotary International By-law (“RIB”) 16.070*. The District Governor’s duties are specified in Rotary International By-law 16.090*. Further District Governor information specific to our District is found in the article Continuity, Consistency, Collaboration*. A Club must forward its suggestion to the Nominating Committee using the 2018 District Governor-Nominee Designate Suggestion Form. All of these documents are available from the district website. 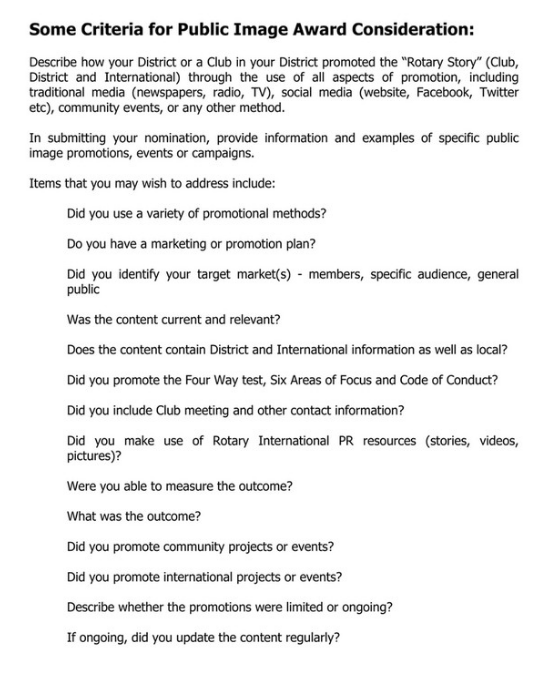 https://rotary7820.com under the menu item "District Documents/DGN-D Nomination" . All but two Clubs in District 7820 use Facebook as an element of their Public Image efforts. 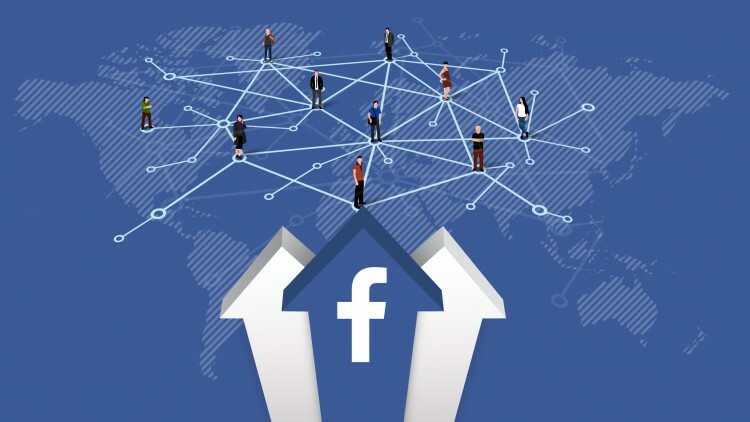 Social Media channels, particularly Facebook and Twitter are being used by Rotary Clubs to share their activities with other Rotarians as well as with the publix. Over the past the 4 years the growth in the total number of "Likes" to all Facebook pages operated by our Rotary Clubs has grown by over 210%. The growth by year is shown below. Carrie Jones, Zone Public Image Coordinator has announced the Public Image Citation for our Zone 24 East. The awards will be given out during the Zone Institute in Montreal. If you have a Public Image project that fits the criteria, please apply. 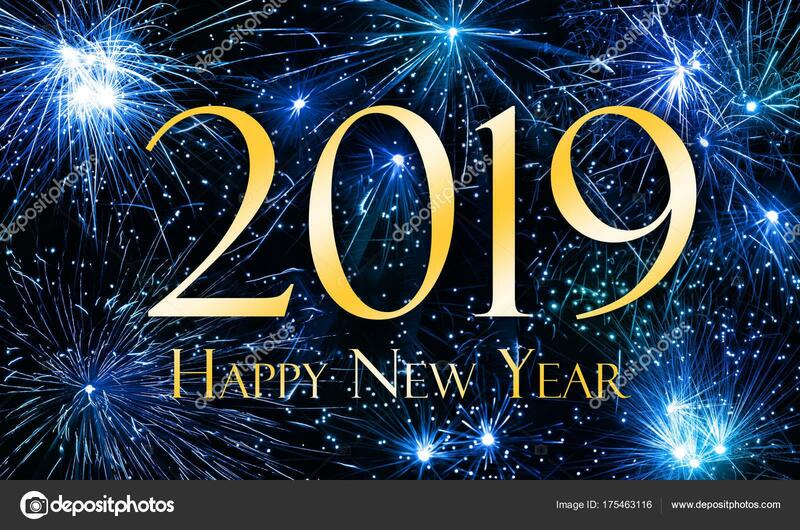 Yes, it is a new Rotary year and we should all take a moment to think about what we would normally do at the start of a calendar New Year, which is to make some New Year resolutions. What are your personal resolutions as a Rotarian as we commence our 2018 - 2019 year? Barry Rassin, our RI President for this year has encouraged us to make lasting change in ourselves, our community and the world. What are your resolutions for your club? Will you use this year to inspire others to join our wonderful organization and to truly make a difference in the world? I look forward to meeting all of you as Irene and I spend time with yourand your clubs. 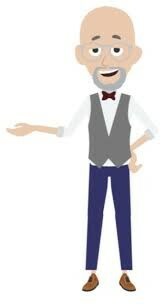 I look forward to talking with you in some detail about the concept of S.H.A.P.E. an acronym I developed to provide a framework of how our clubs and District can move forward through this coming year. All the best for a wonderful new (Rotary) year. 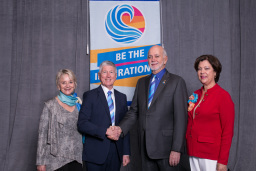 Barry Rassin, of the Rotary Club of East Nassau, New Providence, Bahamas, is our new President of Rotary International for 2018-19., He has chosen as his theme, "Be the Inspiration" and shared with us attending the International Assembly in San Diego his vision that, "Together we see a world where people unite and take action to create lasting change - across the globe, in our communities and in ourselves". 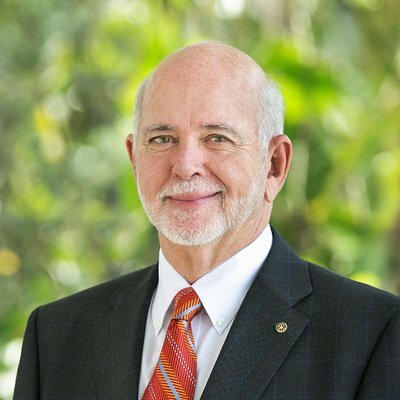 President Barry earned an MBA in health and hospital administration from the University of Florida and is the first fellow of the American College of Healthcare Executives in the Bahamas. He recently retired after 37 years as president of Doctors Hospital Health System, where he continues to serve as an adviser. Greetings from the beautiful Northumberland Shore! We are thrilled to be able to serve Rotary in the second largest District in the world. Ten years ago, Rob joined Rotary as a Charter Member of the Rotary Club of Whitehorse Midnight Sun in District 5010, which, at the time encompassed Yukon, Alaska and Eastern Russia. Irene joined the club a few years later. The new leadership team comes into effect for District 7820 on the start of the new Rotary year beginning July 1st. Find out more about them through their profiles. They have already been active in the district planning for the year so let's show them our support. 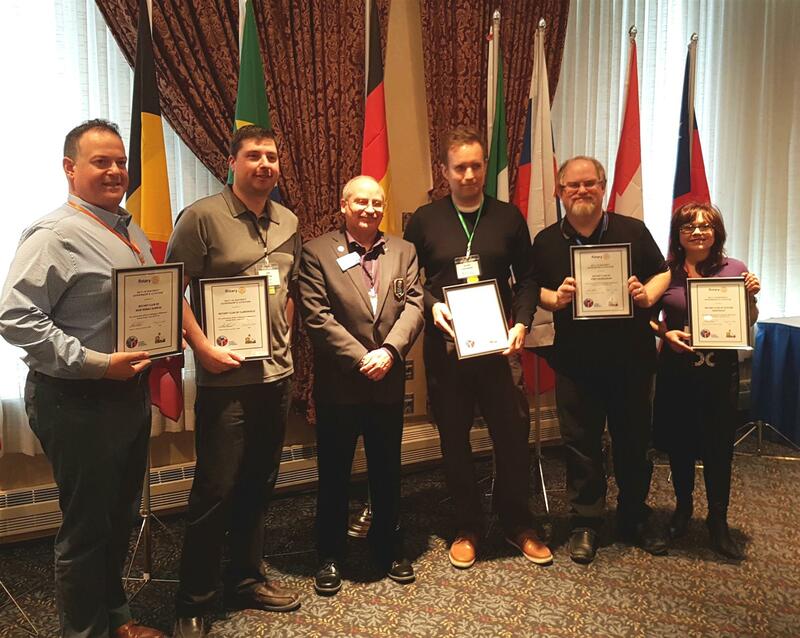 Rotary International President Ian Riseley's theme for the Rotary year 2017-18 is "Rotary: Making A Difference" and DG Don Sword recognized several "Difference Makers" in our district at the 2018 D7820 District Conference held May 25-27 in St. John's. Wilf McIsaac from the Rotary Club of St. John’s NW but he has been living in the Codroy Valley in Western Nfld for the past year. He is completing his term in June as our District Treasurer and he may be remembered as the most important Treasurer our district has ever had. Wilf is a banker, not an accountant, but he has led our district into a brave new era of sound financial management with modern banking tools and guided us as we adapted to a series of increasingly demanding financial requirements from Rotary International. Everyone within the district is in Wilf's debt for his leadership. Wilf was presented with a Paul Harris Fellowship pin +1 and a framed "Difference Maker" award. One of the purposes of the District Conference held May25-27, 2018 in St. John's was to celebrate the accomplishments of D7820 Rotary Clubs. 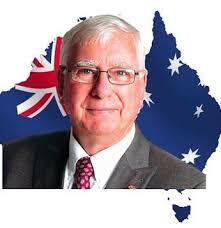 Clubs have until June 30th to complete enough of the goals in the four categories to be recognized with Rotary International President Ian Riseley's Rotary Citation. Since those awards will not be presented until the fall of 2018, District Governor Don Sword decided to recognize the ten (10) clubs that were currently eligible for that Citation (subject to the year end membership numbers) with a Governor's Citation! The Rotary International Club Significant Achievement Award is given to recognize a particular club’s service project or activity that has had an exceptional impact. Rotary International stipulates that only one club per district, per year, is eligible to receive this award. This year on Monday October 2, 2017 District Governor Don Sword attended the grand opening of what was the culmination of one of the most significant projects ever undertaken by a club in our district when the Inspire Learning Centre opened in Summerside, Prince Edward Island. 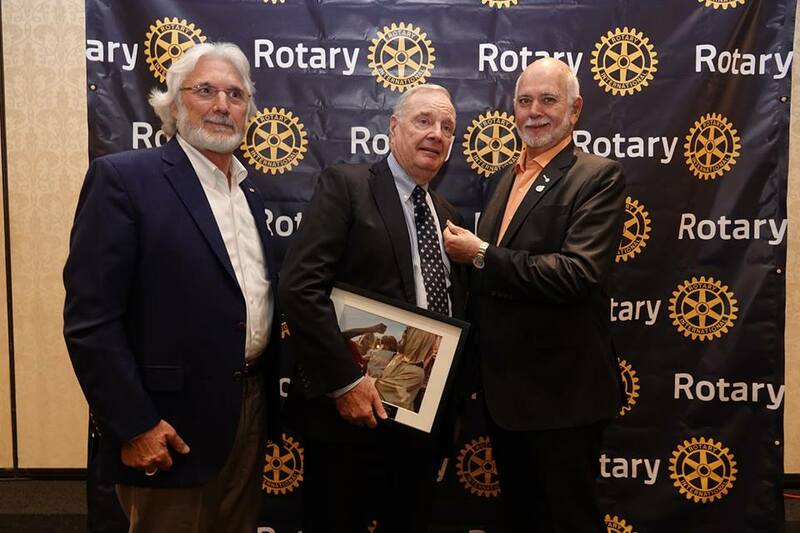 Rotary International President Ian Riseley was also in attendance along with many other special guests to celebrate the remarkable achievement of the Rotary Club of Summerside. PDG Stella Roy wins big at the District Conference! Past District Governor Stella Roy is a member of the Rotary Club of Halifax Harbourside, in Nova Scotia. Since serving as District Governor in 2014-15, Stella has remained very active in Rotary at the district, Zone and internationally having participated in immunization days in Africa. As our District Foundation Chair she has led a very effective group from all around our district. She has also served as the Rotary Zone 24 East Polio Plus Coordinator. The Rotary Foundation Citation for Meritorious Service recognizes individual Rotarians who have demonstrated outstanding service to The Rotary Foundation. Each year, Districts may select only one Rotarian to honour for their commitment, enthusiasm, and passion for the ideals of Rotary. At the District Conference in St. John's DG Don Sword presented to PDG Stella Roy, on behalf of the Trustees of The Rotary Foundation, the Rotary Foundation Citation for Meritorious Service. It is a pleasure to welcome you to the idea of our Million Dollar Campaign and Celebration Dinner . It is an opportunity for us to show that we believe in the ideals of Rotary and our ability to "Do Good in the World". The Rotary Foundation is a remarkable organization, with strong financial oversight, that allows Rotarians to achieve results in many ways by transforming our gifts into projects that change live both close to home and around the world. Its mission is to advance world understanding, good will and peace through the improvement of health, the support of education and the alleviation of poverty. Foundation grants empower Rotarians to approach challenges such as poverty, illiteracy, and malnutrition with sustainable solutions that leave a lasting impact. 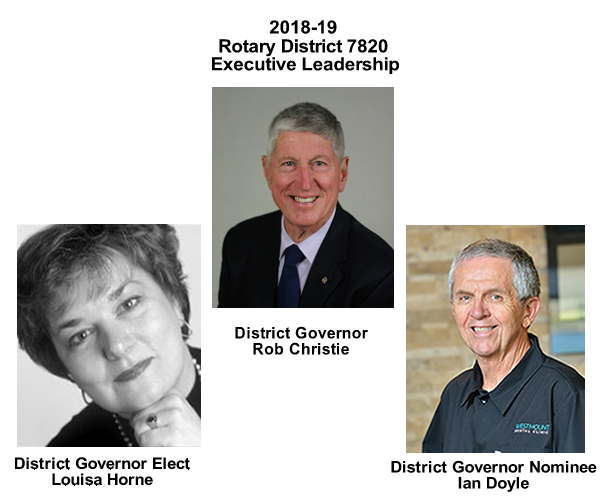 The leadership of District 7810 and 7820 wants to make the work of The Rotary Foundation better known, to raise the profile of the great work that is being done around the globe by TRF. Paul Harris said "Whatever Rotary may mean to us, to the world it will be known by the results it achieves." Help us continue ensuring great results. We are inviting you to become part of Rotary's life changing work by becoming part of our Million Dollar Campaign and Celebration Dinner. District-Wide Exit Interview Survey – How Did We do? 100 former Rotarians were surveyed. 53% indicated that they left Rotary within 5 years of joining. What’s the biggest reason why they left? Come to our breakout session to find out! This year, our District Membership Team conducted anonymous and confidential exit interviews with 100 former Rotarians who had left Rotary in our District since July of 2016. We asked them 10 open-ended questions and received honest feedback which you can use to help your club strategize for the future. 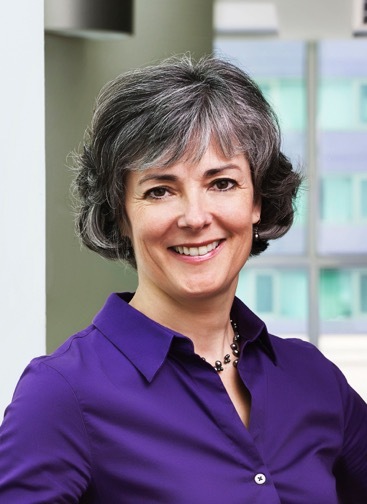 This breakout session, will take place on Friday, May 25 at the District Conference in St. John’s and will be led by District Governor Nominee and former District Trainer Louisa Horne, of the Halifax Harbourside club and District Membership Chair Wendy Scammell, of the St. John’s Northwest club. Exciting News on Youth Programs in D7820! New in 2018-2019, District 7820 will begin offering youth aged 15-19 the opportunity to go on short term (summer) exchanges. Under STEP, Rotary matches students in two countries for a family-to-family exchange. The families then plan a reciprocal exchange for the students in July-August, with the 2 students together in Canada one month and in the other country the other month. For Rotary clubs, short term exchanges are much lower cost/effort than traditional long term (school year) exchanges. Rotary helps ensure a safe and secure exchange environment via our youth protection processes, but STEP does not require Rotary clubs to recruit volunteer host families. Club costs will be just $200 per student. All other costs of exchange are the responsibility of the student/family. Do You Have a High Performing Club? All Rotary clubs have the power and resources of Rotary International and its award winning charity, The Rotary Foundation behind them. But how do you know if your club is one of the best? The answer may well be subjective, but there are a few objective ways that Rotary International and our District 7820 have for clubs to see how they measure up. Each year the RI President sets out a goal based Rotary Citation for clubs to strive for. Last year (2016-17) three clubs in our district achieved the Citation. (New Minas Sunrise, Sackville & Area, and Sydney Sunrise). Paying RI dues on time. Recording volunteer hours and service project contributions. Focus and increase humanitarian service. Enhance Rotary's public image and awareness. So far seven (7) clubs in D7820 have already qualified for this year's Citation! And there are three (3) clubs that are only one category away from qualifying! Plus other clubs in the district are working to achieve the recognition by the end of the year. Clubs have until June 30th 2018 to complete and record their 2017-18 Rotary Citation goals and the actual certificate won't be available until the Fall of 2018, but I will be announcing the clubs that have achieved the Citation by the time the District Conference begins. 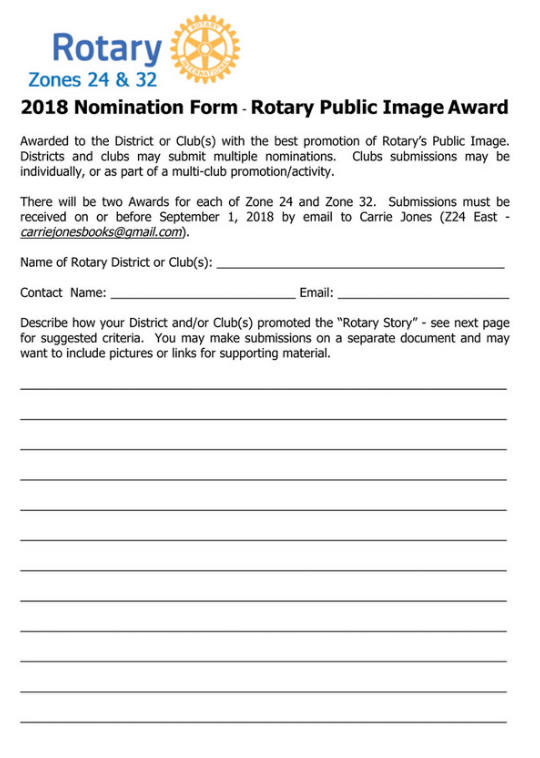 Will your club be recognized? Please come to the District Conference to find out! 2018 Council on Resolutions - June 30th Deadline to Propose Resolutions! Rotary International’s Council on Resolutions (COR) meets online each year to vote on proposed resolutions submitted by clubs, districts, the RI Board, and the general council or conference of RIBI. The COR has the authority to adopt resolutions. Most adopted resolutions are then considered by the RI Board or the TRF Trustees. The deadline to submit proposed resolutions from clubs and districts for the 2018 COR must be received by Rotary International on or before 30 June 2018, including the governor’s confirmation of endorsement. There are no exceptions to the deadline. DG Changeover Event June 17th in Pictou! Mark your calendar for June 17th! Join DG Don Sword and DGE Rob Christie and their families for the changeover garden party to be held at Rob and Irene’s home (110 Water Street, Pictou) starting at 2:00 pm. Everyone is welcome to join in the festivities and meet Rotarians from around the District. Light snacks and refreshments will be available. It's a new Rotary year starting July 1st; be among the first to help 2018-19 District Governor Rob to kick off the new Rotary theme, "Be The Inspiration"! The 2016 Council on Legislation (COL) was absolutely groundbreaking for Rotary and its clubs around the world. The 2016 COL approved a number of changes to the old Rotary rules around attendance, meeting time, place and frequency and signaled a new era in Rotary marked by a recognition that change is needed for clubs to attract and retain quality members to remain vibrant forces in their local and world communities, well into the 21st Century. District Grant deadline extended to May 1st! The Deadline to make your club's initial application for a District Grant has been extended to May 1st!! Your District Foundation Committee have trained at least 80 Rotarians between November 2017 and February 2018 to ensure that their clubs are eligible to apply for a District Grant during the 2018-19 cycle and know how to do it. There are grants of up to $3,000 CDN available if the club matches the funds from District. The projects ideally should be completed by May 31, 2019 (unless an extension is obtained by February 15, 2019). Approved projects can begin any time after July 1 2018. All proposed projects must be submitted through the Clubrunner grant module on the District 7820 website http://rotary7820.com Just log into the Member Area and select the "Grants" Tab. The time is now for your club to support a local scholar in his or her application for a fantastic Rotary scholarship opportunities - The Rotary Peace Fellowships and the Rotary Scholarships for Water and Sanitation Professionals. 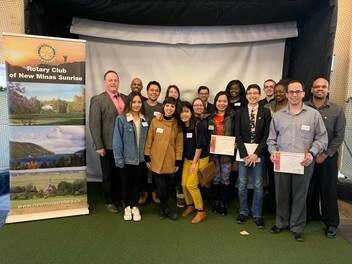 Rotary Peace Fellowship 2019-2020 - applications to the District due May 1st! Each year, Rotary selects up to 100 professionals from around the world to receive fellowships to study at one of Rotary's peace centers. Through academic training, practice, and global networking opportunities, the Rotary Peace Fellowship develops leaders who become catalysts for peace and conflict prevention and resolution. These fellowships (50 master's degrees for 15-24 months and 50 certificate studies of 3 months plus 2-3 weeks of field study ) cover tuition and fees, room and board, round-trip transportation, and all internship and field-study expenses. Don't Miss the Professional Development Day! What if you could participate in a full day professional leadership session on “Transformational leadership in times of change” by someone who trains MBA students and business executives and not for profit leaders on programs costing thousands of dollars - and attend for FREE or for the cost of a nice lunch? Well, as a Rotarian from District 7820, you have that opportunity!! On Thursday, May 24th, the day before the District Conference begins, the Professional Development Day (PDD) takes place at the beautiful Manuels River Hibernia Interpretation Centre in Conception Bay South. If you are an incoming President or Secretary the PDD is FREE (includes lunch and transportation to and from the Holiday Inn in St. John's). All other Rotarians may register for a low price of $35! You will even get a certificate of completion to give your employer to get the day off as professional development. The 2018 District Conference is six weeks away and the excitement is building. Registration numbers show a great turnout from all around our District. You won't want to miss the opportunity to "Join Leaders - Exchange Ideas - Take Action!" And don't forget to wear something white on Saturday 's "White- Out" to show support for Rotary's focus on promoting "Peace and Conflict Resolution!" 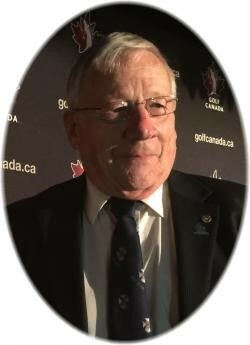 For just $20 you can buy a chance to win a Toronto Maple Leafs jersey autographed by 2017-18 Rotary International President Ian Riseley - just in time to go to the Rotary International Convention in Toronto June 23-27, 2018. Payment can be by cash, VISA or Master Card. The jersey was signed by RI President Ian Risley when he was at Camp Gencheff helping to celebrate the 100th anniversary of the Rotary on Prince Edward Island. Tickets will be drawn on May 27th at the District Conference in St. John's. The signed jersey will be sent to the winner in time to attend the Rotary International Convention in Toronto and, in particular, the Beyond Borders dinner at the Hockey Hall of Fame in Toronto on Sunday June 24th. Only 150 tickets are available so get yours NOW! Proceeds from the draw will support the 2018 District Conference. In February/ March 2018 our District 7820 was well represented in District 6990 (South Florida & Grand Bahamas) during our outbound exchange there. It was a very busy exchange. Our hosts were wonderful, and we stayed in several delightful homes and met a myriad of wonderful Rotarians. Rotary Peace & Water Scholarships Available! 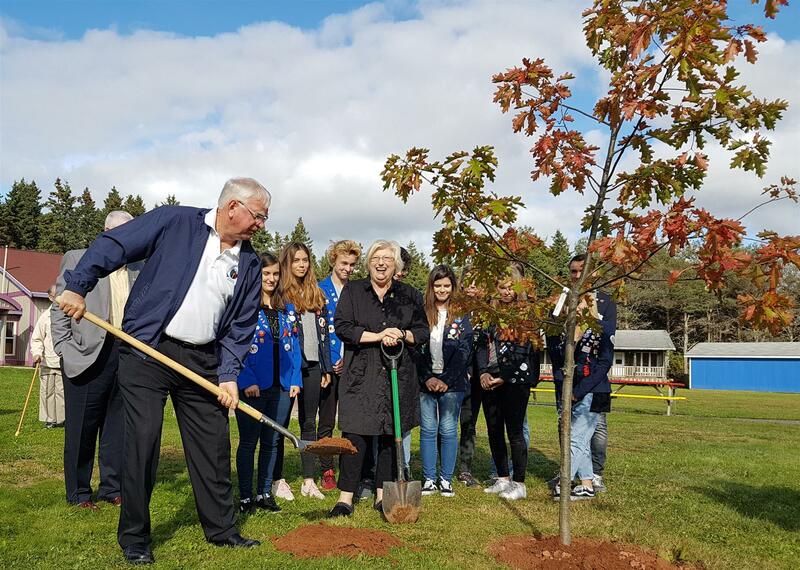 Earth day is April 22, 2018 and that is the day that RI President Ian Riseley marked on the calendar for Rotary Clubs around the world to aim for in his "Plant a Tree" Challenge. He asked every club to plant one tree for every member in their club. The final deadline is the end of this Rotary year - June 30, 2018. RI Pres Ian did his part this Fall by planting a tree at Camp Gencheff, PEI. Some clubs in D7820 have already planted their trees and others hope to complete the challenge by the start of the District Conference at the end of May. As District Governor I have been fortunate to participate in a number of tree plantings. 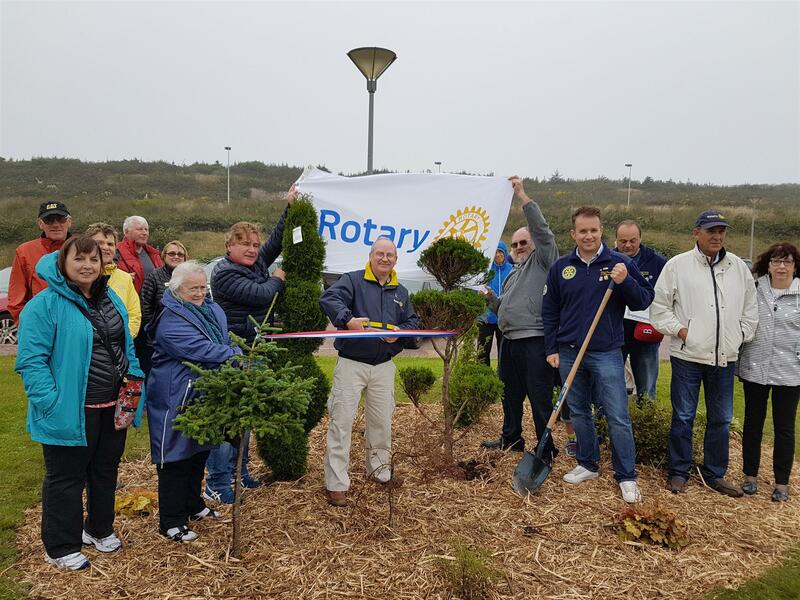 During my official Governor's visit to the Rotary Club of St. Pierre et Miquelon in September, I cut the ribbon on the tree project at the airport with the help of the local Rotarians and visitors from my home Club of Avalon Northeast, Newfoundland. 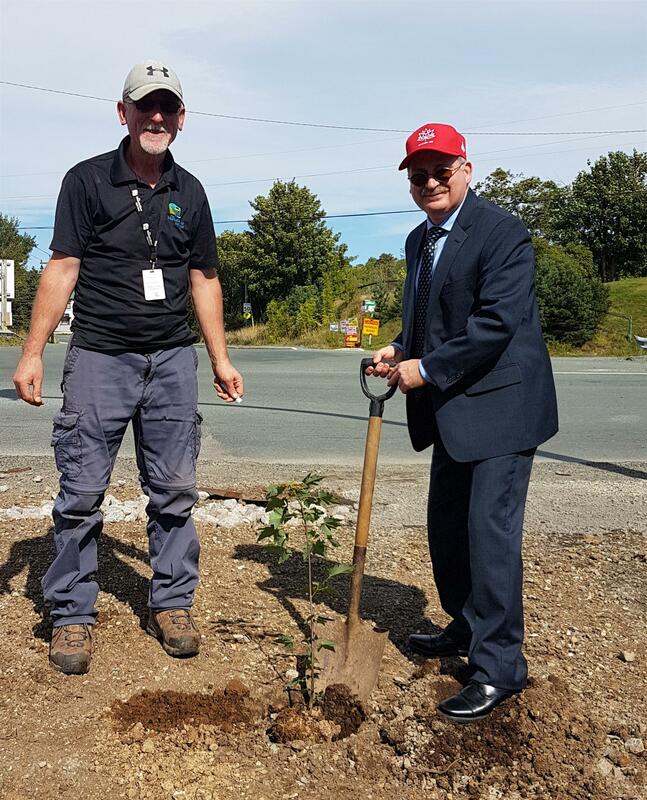 Also in September, I was honoured to plant one of the dozens of trees placed on the trails near the Manuels River Hibernia Interpretation Centre in Conception Bay South (the site of the Professional Development Day on Thursday, May 24, 2018) to mark Canada's 150th Anniversary. 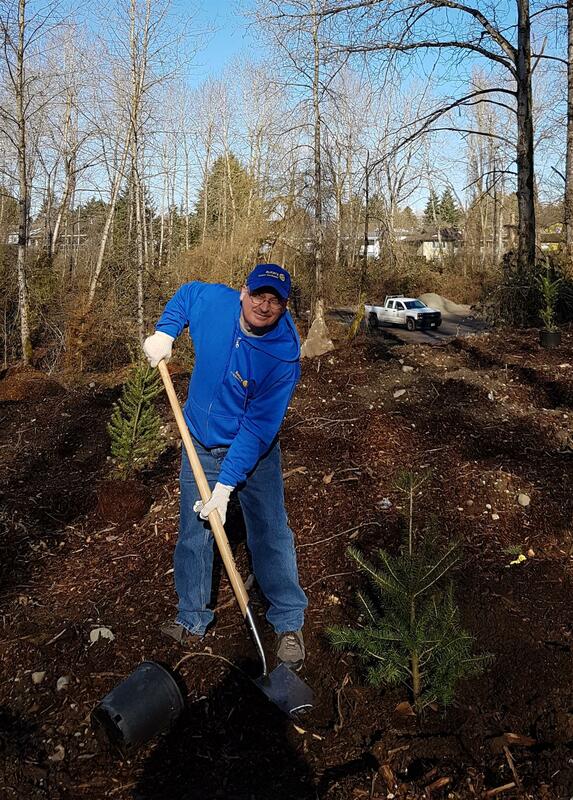 Then, in mid- February, after attending the outstanding Presidential Peacebuilding Conference on Environmental Sustainability and Peace in Vancouver, I participated in a tree planting project on Sunday morning at Everett Crowley Park with Rotarians from across Canada and the USA as well as Haiti, the Philippines and Argentina! One of the favourite parts of being District Governor is being able to help induct new members into the family of Rotary. 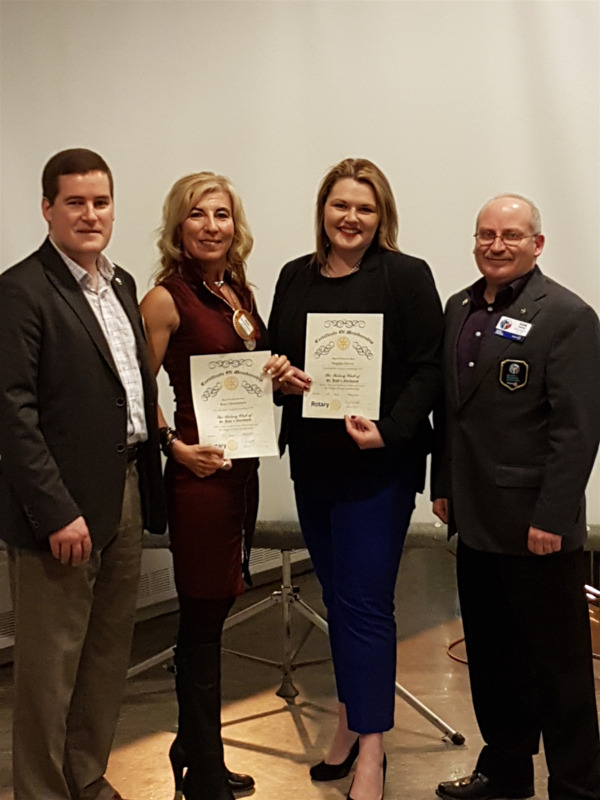 Recently I was pleased to be invited by President Brad Beckett to attend the Rotary Club of St. John's Northwest Club Assembly and help induct two wonderful new members - Meaghan Drover (daughter of former club President, the late Ed Drover) and Kim Christianson. (see photo - L-R President Brad, Kim, Meaghan, and DG Don). This year, most clubs in our district have been succesfully adding new members. From a start on July 1st, 2017 of 1521 members, the latest figures show a total membership in D7820 of 1594! Congratulations and please keep on inviting new members into Rotary. But we can't be complacent - past history shows that we will normally experience a club membership "purge" at year end. As a result, the net increase district-wide in recent years has been negligible or even negative. The challenge for D7820 and indeed all of Rotary in North America, has been retention, not recruitment. In order to find out the real reasons behind why retention of members has been such a challenge, your District Membership Committee has been working on a district-wide Exit Interview Project this year . One hundred former Rotarians, who had recently left their clubs, were interviewed by impartial interviewers by phone and were asked ten questions about their experience in Rotary and as a Rotarian. The interviews were done confidentially and the results have been tabulated so that no club or individual has been identified. The final project report will be available to all clubs once completed. The April 15th District Grant deadline is approaching! Your District Foundation Committee have trained at least 80 Rotarians between November 2017 and February 2018 to ensure that their clubs are eligible to apply for a District Grant during the 2018-19 cycle and know how to do it. The deadline to make your application is April 15th, 2018! Your Foundation Committee has made it easy for clubs to prepare their proposal by creating easy templates. The selection criteria are transparent but all qualified clubs must sign and submit an MOU. Still have questions? Just contact us - we can help! 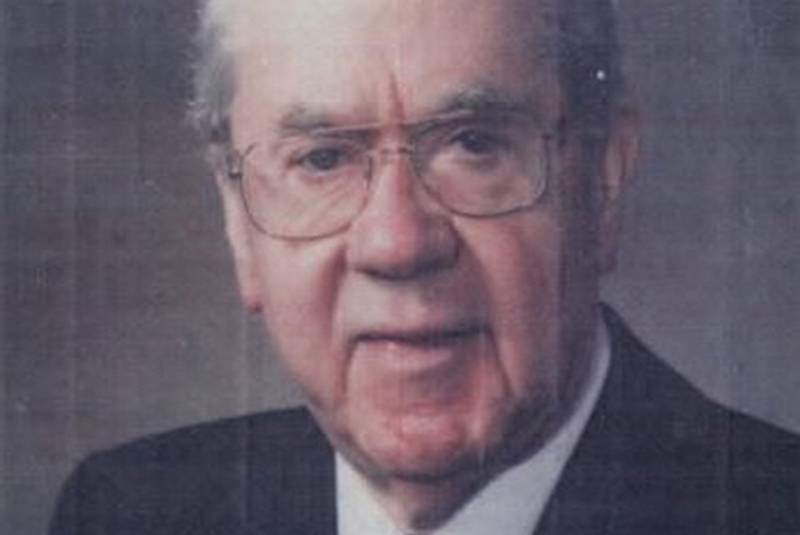 It is with sadness that we report that Past District Governor (87-88), member of the Rotary Club of St. John's Northwest, Aiden Maloney passed away March 17th, age 97. He was very fine man and a great Rotarian. He had an award at his club for Young Professionals named after him. He will be sorely missed. Aidan embodied the Rotary Four Way Test in his lifetime; a true Rotarian; a friend and mentor. RIP Aidan. Our thoughts are with his family. PDD, RI Rep and Breakouts at District Conference! Before the 2018 District Conference begins you won't want to miss the Thursday Professional Development Day (PDD) on May 24th at the Manuels River Hibernia Interpretation Centre in the Town of Conception Bay South (outside of St. John's). That is where all Rotarians can take their leadership skills to the next level. It's free for incoming Presidents and Secretaries and only $35 for all other Rotarians. Lunch and transportation to and from the conference hotel is included in your PDD registration. 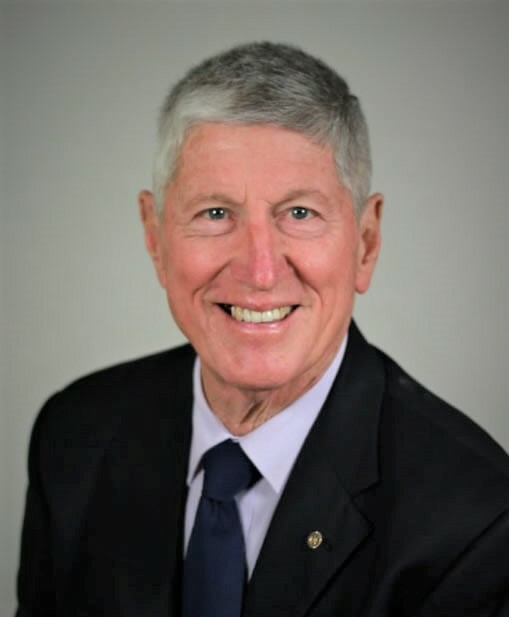 The Rotary International President's Representative to the 2018 District Conference is Michael Webb from the Rotary Club of Mendip, England. 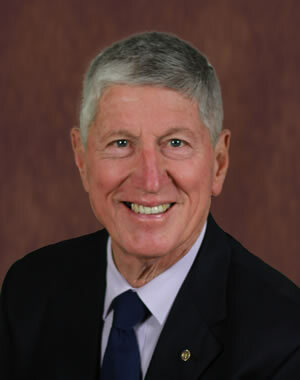 Mike is a current director of The Rotary Foundation. You won't want to miss him speak. He will deliver an inspirational address on the 2017-18 theme "Rotary: Making A Difference" as well as a report on Rotary worldwide. 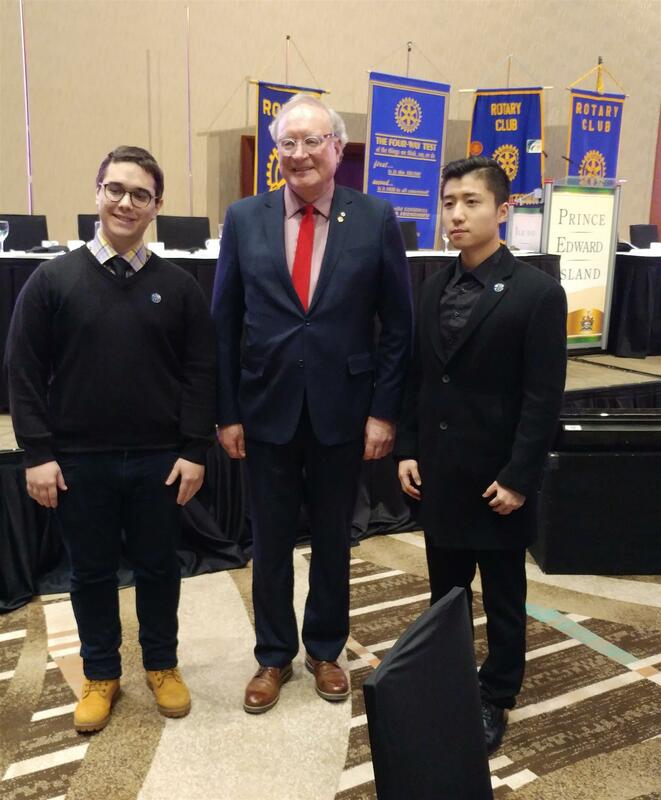 President Paul Crant of the Rotary Club of Charlottetown is pleased to announce that the club has sponsored a school based Rotaract Club at the University of Prince Edward Island. The club’s charter is on its way from Rotary International. The new club is meeting in the Don and Marion McDougall Hall at 2:00 pm on Fridays. The Halifax Harbourside Rotary Club is looking for partners and support to undertake a mechanized borehole water project in Bawiu, a small village near Navrongo, in the Northern-most part of Ghana. This is the driest part of the country. The community is among the poorest in the region and lacks the necessary infrastructure to take water from rivers and aquifers. The population of the community is estimated to be 1,012, a majority of which are youth. 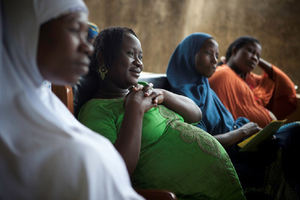 Improved maternal health education and programs, reducing infant mortality, have led to higher birth rates and population growth over the past 10 years. About 70% of the economy in the Bawiu community depends on agriculture. The farmers rely on rainfall to water their crops and animals. The average rainfall for the community is 940mm per annum with most rain falling between June to September. The dry season is from November to March and in January, the driest month, there is only 1mm of rainfall. The mechanized borehole project will provide an opportunity for farmers to farm all year round, bringing an immense economic benefit to the community. Openings available for Friendship Exchange in May! Are you tired of winter yet? Looking for an early Spring? We have a couple of openings for the outbound exchange to Vancouver Island and western Washington state. Their district is looking forward to repaying the hospitality that we extended to their delegation last Fall. Please contact PDG Tom McCaughey for an application at dgtom7820@gmail.com or (709)682-7259. RFE’s are an inexpensive way to explore other districts, to meet some great friends and learn about their culture and their projects and to generally be treated as very welcome guests and not a tourist. The competition was held between all Rotary clubs within five countries: Belize, Guatemala, India, Kenya and Honduras in two phases. During phase I, 46 clubs applied and 13 of them moved to the next phase. In phase Ii, 13 clubs applied, and four clubs were awarded grants. We are privileged to be one of the four winners. In a few days, our outbound team representing Newfoundland, St Pierre and HRM will be beginning our exchange with D6990 in Florida and the Florida Keys. Unfortunately, the Grand Bahama Island leg has been dropped primarily due to difficulties caused primarily by the hurricane last fall. Our contact has promised a full and entertaining visit throughout the rest of the district. The return team from D6990 will visit us in August. 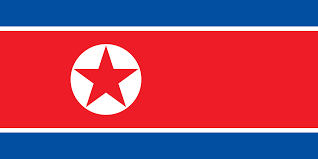 Promoting Peace in DPRK (North Korea). Led by the Rotary Club of Charlottetown Royalty, our District has for the past 15 years worked with our partners in China and the Democratic Peoples Republic of Korea/North Korea ("DPRK") to demonstrate the goals and purposes of Rotary International and our Rotary Foundation in promoting world understanding, goodwill and international peace. 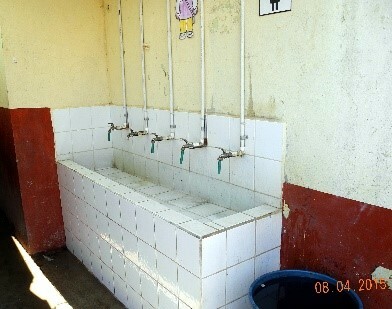 During that time 11 humanitarian, sanitation and/or educational projects have been completed in the DPRK. 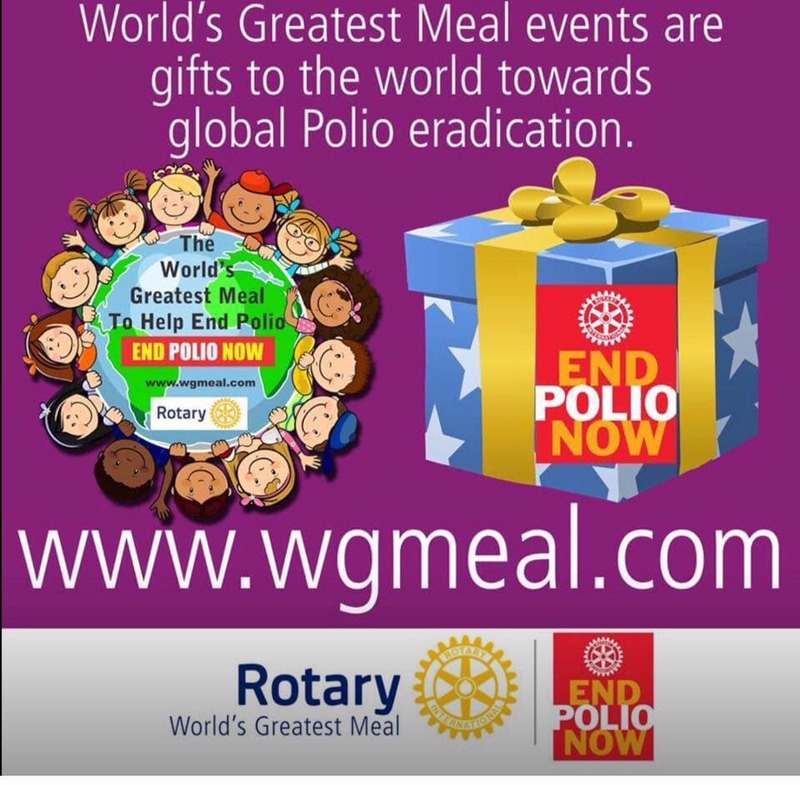 World's Greatest Meal to END POLIO NOW! Love to have dinner? Like wine with a few friends? Laugh? Do all this and help eradicate one of the most detestable disease on the planet. We are very close to eradicating Polio. We need help in getting over the top. Host a dinner and donate to Polio Plus through your local Rotary club. Your donation will be tripled by the Bill and Melinda Gates Foundation. $1 vaccinates a child against Polio. In February, as we celebrate the founding of Rotary on February 23, 1905, why not hold an event and join us in this amazing cause? 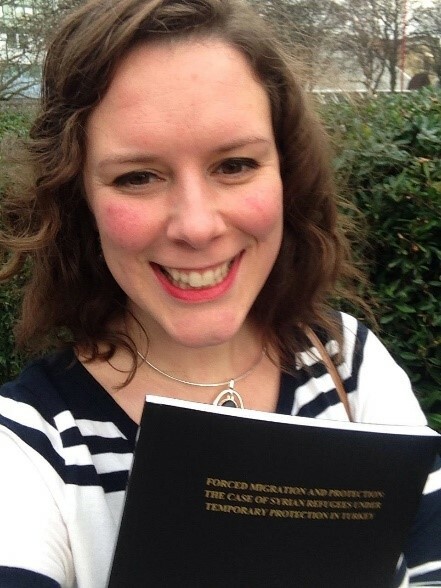 This is Holly White, handing in her final dissertation earning her a Masters of Arts in Peace and Conflict Resolution from the University of Bradford in December 2017. Holly is the first Peace Scholar from Newfoundland and Labrador and was sponsored by the Rotary Club of St. John’s Northwest. Through academic training, practice, and global networking opportunities, the Rotary Peace Fellowship develops leaders who become catalysts for peace and conflict prevention and resolution. These fellowships cover tuition and fees, room and board, round-trip transportation, and all internship and field-study expenses. February is Peace and Conflict Resolution Month within Rotary. It’s now time to begin preparing for our next applicants. 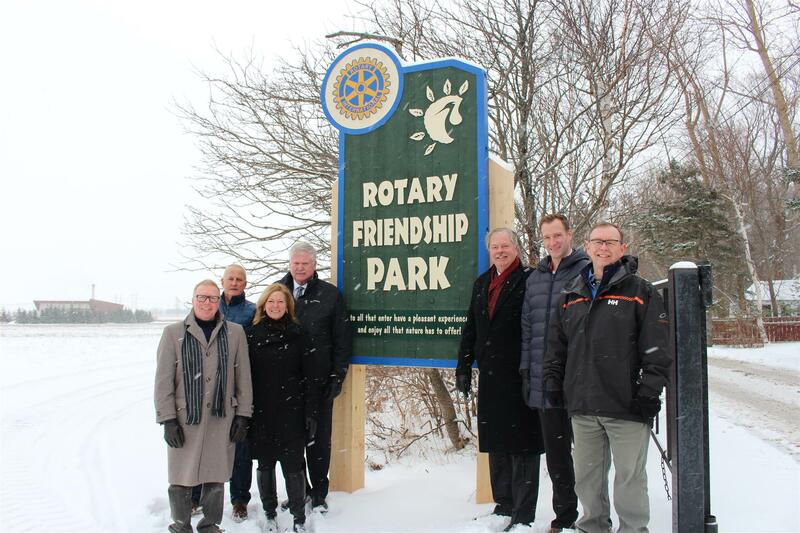 The Rotary Club of Summerside, with support from the City of Summerside, recently had a new sign created and installed at the entrance to the Rotary Friendship Park. The park, especially in the winter with the freshly fallen snow, is perfect for a peaceful stroll with family or with a canine friend! The sign was made possible by a generous donation from the estate of Hazel Halliday. Ms. Halliday was known to enjoy spending time in the Friendship Park. In appreciation of her kind gift and her fondness for the park, the Rotary Club of Summerside chose to create a more permanent sign to properly grace the main entrance. 2018-19 Rotary Theme: "Be the Inspiration"
Each year, The Rotary Foundation selects up to 100 professionals from around the world to receive fellowships to study at one of our peace centers. 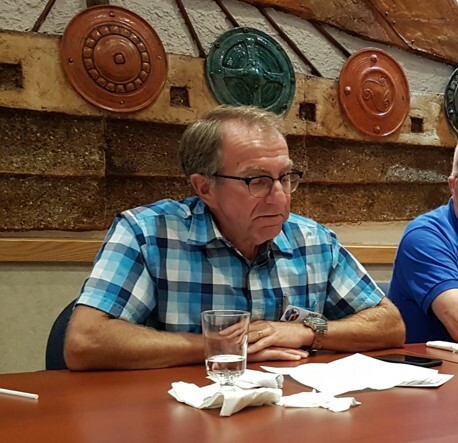 Starting with Rotary Club of Clarenville on July 10th and finishing with the Rotary Club of Happy Valley - Goose Bay on December 20th, I visited all 47 Clubs in District 7820 (48 including the E-Club). Pat joined me on over half of those visits. We have a very large and diverse district - NL, NS, PEI and St. Pierre et Miquelon - but it is filled with wonderful Rotary clubs in great communities. I met with each Club's Executive or Board and I asked each Rotarian in attendance to describe their club using one word. The "word cloud" above reflects what I heard. The overwhelming number of word choices were positive ones. 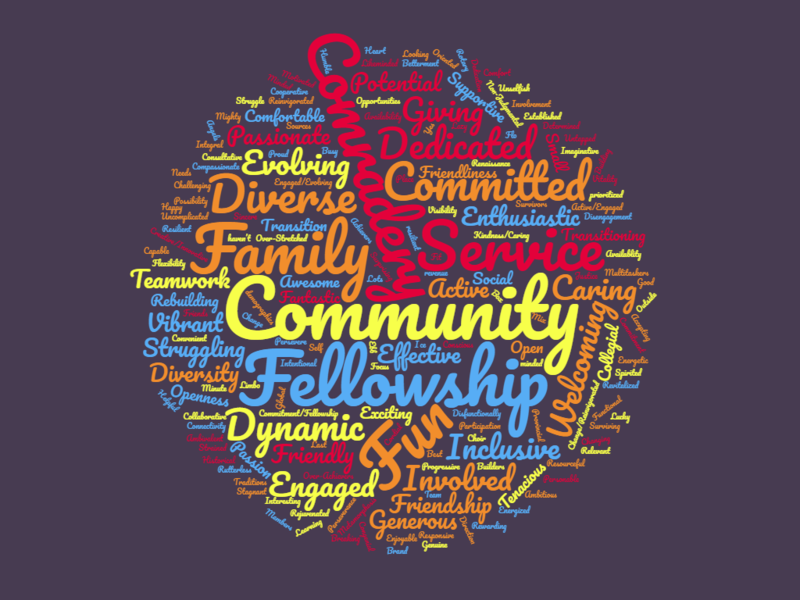 Just look at the words used most often - Community, Fellowship, Comradery, Service, Committed, Family and Fun. Holy Spirit High School in Conception Bay South, is the fourth largest high school in Newfoundland and Labrador and up until this year, had never held a career fair. 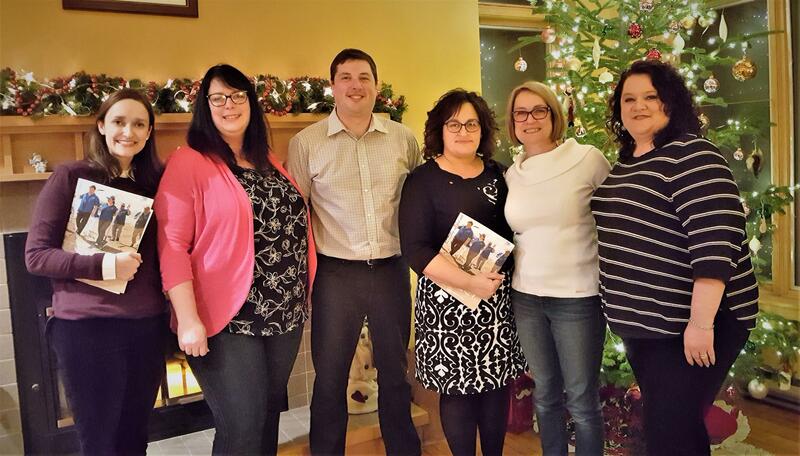 New Generations Chair Rob Boychuk and his fellow committee members at the Rotary Club of Avalon Northeast thought that needed to change. So, they met with the school officials and teachers as well as the Interact Club of Avalon Northeast which operates out of that school. Several months of planning followed. The result was a hugely successful Career Fair held on Tuesday January 9th, 2018 for five classes of level II, grade 11, students enrolled in Career Development 2201. 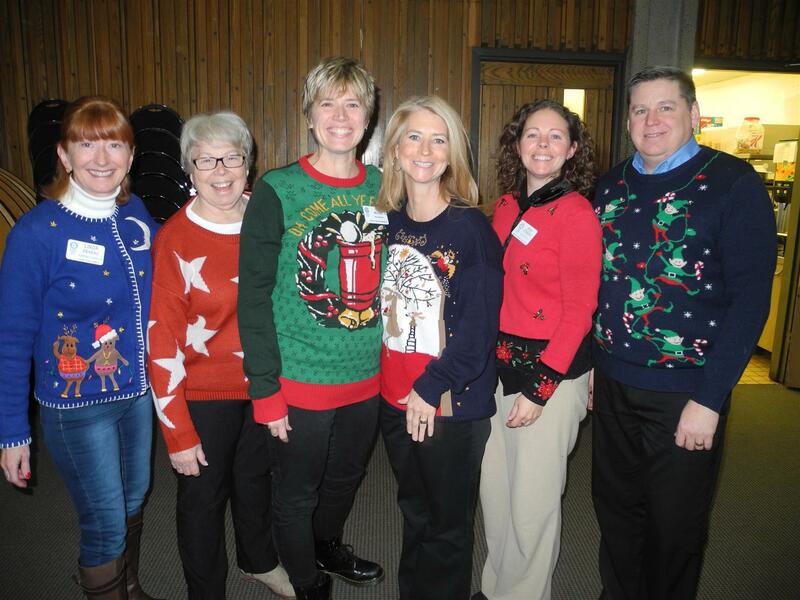 Happy New Year to All from the District Foundation Team! Half Year Update: At the half way point in the Rotary year we have trained 35 of 47 Rotary Clubs and 75 individual Rotarians for the District Grants Program for 2018-2019. The program is ready to accept grants from $1,000 to $3,000 (CAD) . The Committee has entered all the qualified people in the District records but only eight (8) of the Clubs have returned their signed Memorandum of Understanding (MOU) back. If your club has not submitted its MOU then it will not be able to enter an application into the Grant program. So, please complete and submit your signed MOU! The spring Rotary Leadership Institute (RLI) session is being held in Dieppe NB on Saturday April 7, 2018 at the CCNB Campus, 505 Rue du College located off Champlain St in Dieppe, NB. The sign in desk opens at 8:15 am and the sessions will run from 9:00 am to about 4:00 pm. Having Rotarians attend an RLI session has proven to be a major benefit for both the member and their clubs. The basic RLI program consists of series of three one day Parts. The material in each part is organized to gradually increase the participants Rotary knowledge and leadership skill and are taken sequentially over a period of time. An overview of the RLI program and the three parts can be found on the RLI page of the Website. Depending on there being enough people who register in advance, all three Parts of the program will be offered. If there are not enough registered for any of the Parts before the cutoff date of Mar 21st, that Part will be cancelled. Registration is all done on-line by clicking this link. The fee payable by cheque (or cash) at the door is $125. Breaks and lunch are included in the fee. When you register, indicate you are paying by cheque. Vocational service is the very essence of Rotary. It is what sets Rotary apart from other service organizations. 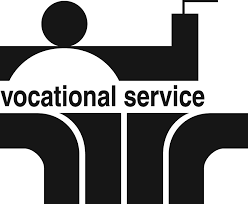 The concept of vocational service is rooted in the second point of the Object of Rotary which calls on Rotarians to encourage and foster high ethical standards in business and professions, the recognition of the worthiness of all useful occupations, and the dignifying of each Rotarian’s occupation as an opportunity to serve society. Put these ideals into action by using your professional skills to serve your community, practicing your profession with integrity, and guiding others in their professional development. If you do any of these things, you are performing vocational service. By January 1st all clubs in the District should have held their elections for their 2018-19 club officers. Holding elections on time and having a clear succession plan in place will help keep your club headed in the right direction for the next Rotary year. December 31, 2017 was the deadline for election of officers and February 1, 2018 is the deadline for reporting the officers to Rotary International. Current club officers can submit this information via the Club Administration section of My Rotary, ClubRunner, or by sending the information to data@rotary.org. Invoices for membership dues from both the District and Rotary International will be sent to clubs mid-January, and are based on membership data in Rotary’s database as of 1 January 2018. Adjustments can no longer be made once the invoice has been issued. Remember 2-2-2: Two dues invoices (District and RI), Two times a year (July 1 and January 1), sent to two different places - RI and the District. 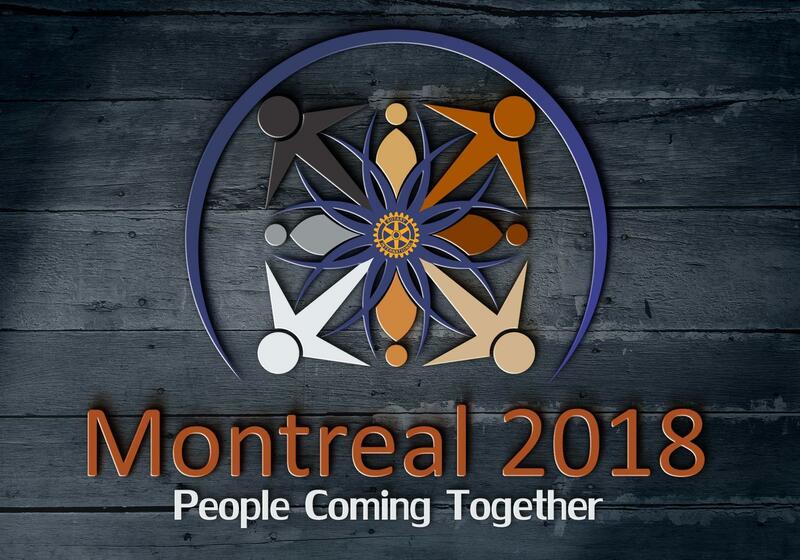 The 2018 Convention in Toronto is the best opportunity in years for Rotarians from District 7820 to experience a Rotary International Convention. Many members say that they joined Rotary when they were inducted into membership, but didn't truly become a Rotarian until they had attended a Rotary International Convention. You won't want to miss the opportunity to join tens of thousands of Rotarians "Making A Difference" in Toronto. And this event promises "Inspiration Around Every Corner"! Why not join the over 125 Rotarians and Partners from District 7820 who have registered for the Toronto Convention already? Register by 31 March to take advantage of the pre-registration discount. Hotel demand and prices are rising due to a separate event Toronto is hosting. Book your hotel room or arrange for other accommodation as soon as possible. Check out the Host Organization Committee Events. The best ones will sell out fast! And don't forget: D7820 Rotarians are eligible to register to attend the Rotary International Zones 24 & 32 "Beyond Borders" dinner Sunday, June 24th at the Hockey Hall of Fame! TLC - Training For Leaders of Clubs - coming to your area soon! Who should attend: All incoming & prospective Leaders of your Club including Executive, Directors and Committee Chairs. The working sessions of the day are open to all members of the Clubs in each area and will be a fantastic opportunity for anyone who is interested in developing their own leadership skills to attend. What we hope to achieve from the day: Focused and targeted professional development and leadership training that will useful for you as a leader in your clubs and at work! What you’ll learn: Deeper insight into the Club leadership roles if you are currently or an incoming leader, orientation to some critical leadership competencies and a number of key strategic tactics to help you support your club achieve. Role and responsibility orientation/learning intensives for current and incoming Club leadership including presidents, treasurers, secretaries and committee chairs outlining critical tasks associated with the various roles, leading practice examples and key dates. Targeted leadership competency workshops around strategic thinking, dynamic engagement and effective communication. Building a Culture of Leadership for All Leaders – you will learn about what it means to build a Culture of Leadership in your club and how it can create the right conditions to support Club growth and vibrancy. Call to Action workshop – where you will learn strategies and tactics how to be impactful change leaders. Fun sessions that will build your knowledge around Rotary in general, our youth work and the Foundation.